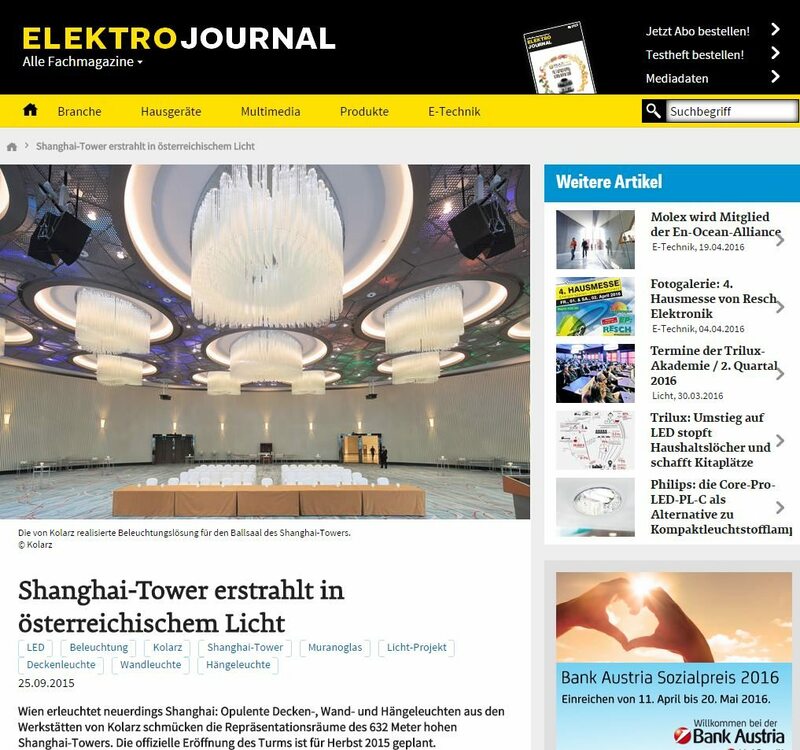 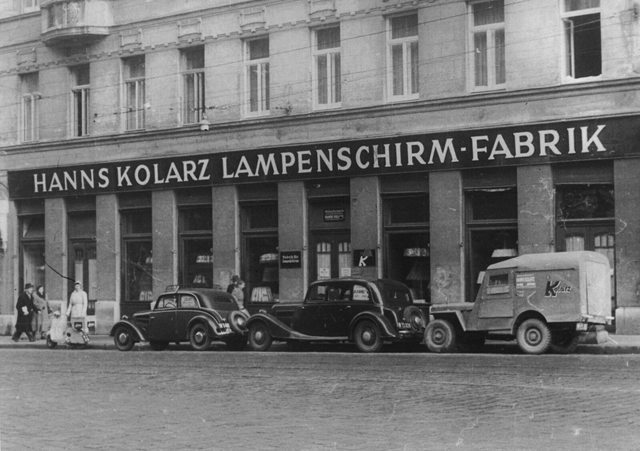 Ein rundes Jubiläum feiert das Wiener Leuchtenunternehmen Kolarz. 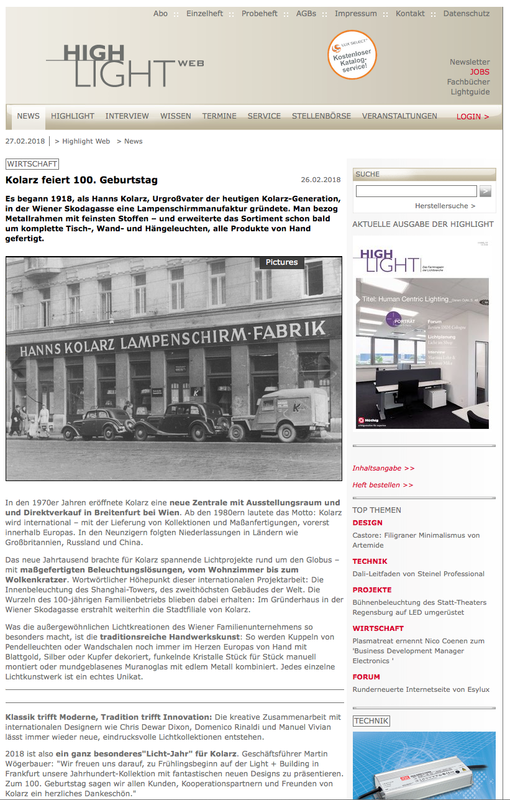 Zum 100-jährigen Bestehen gibt es u.a. 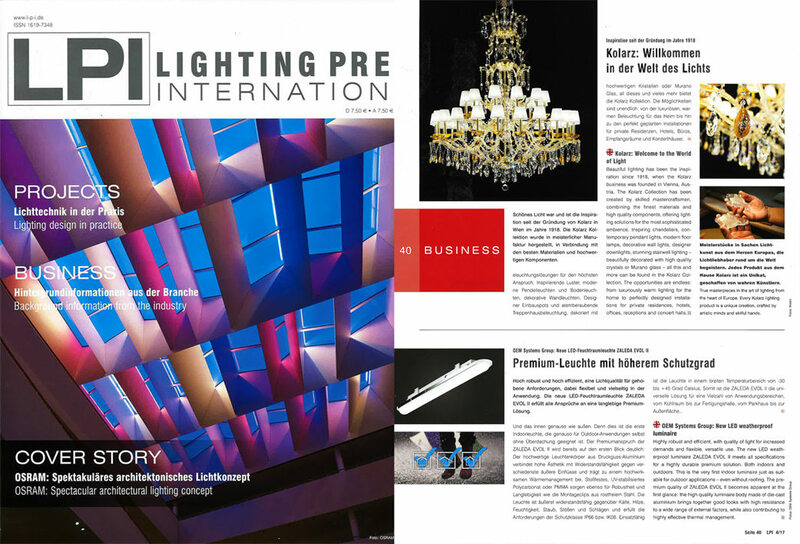 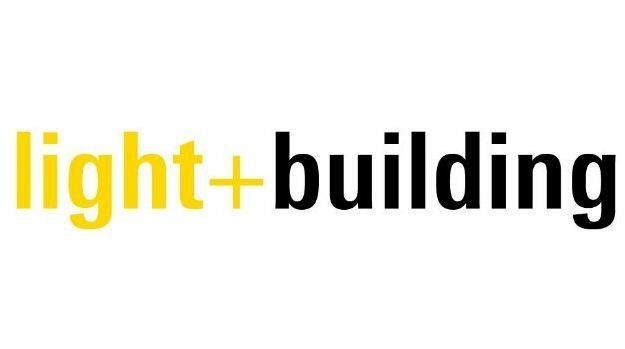 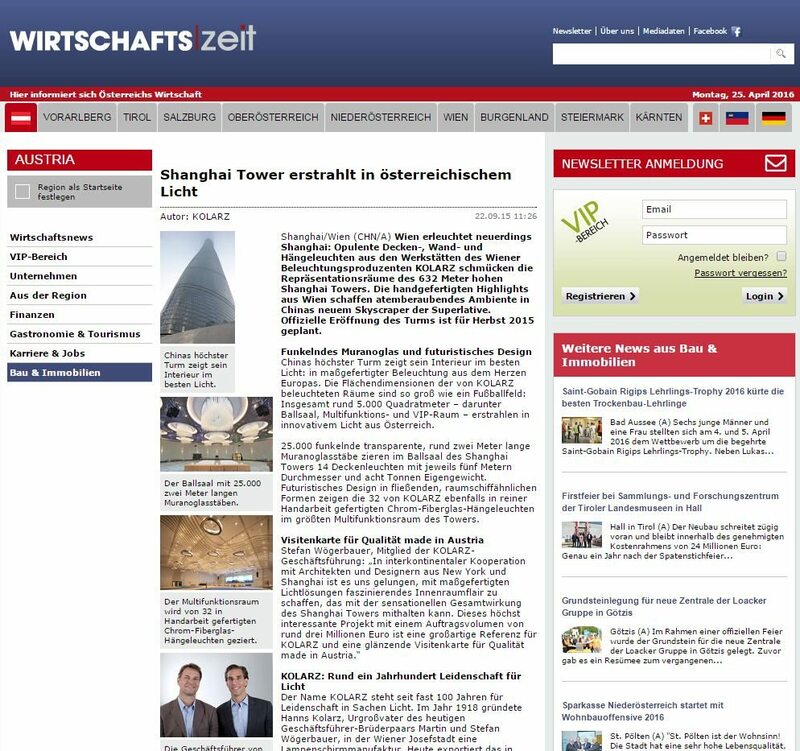 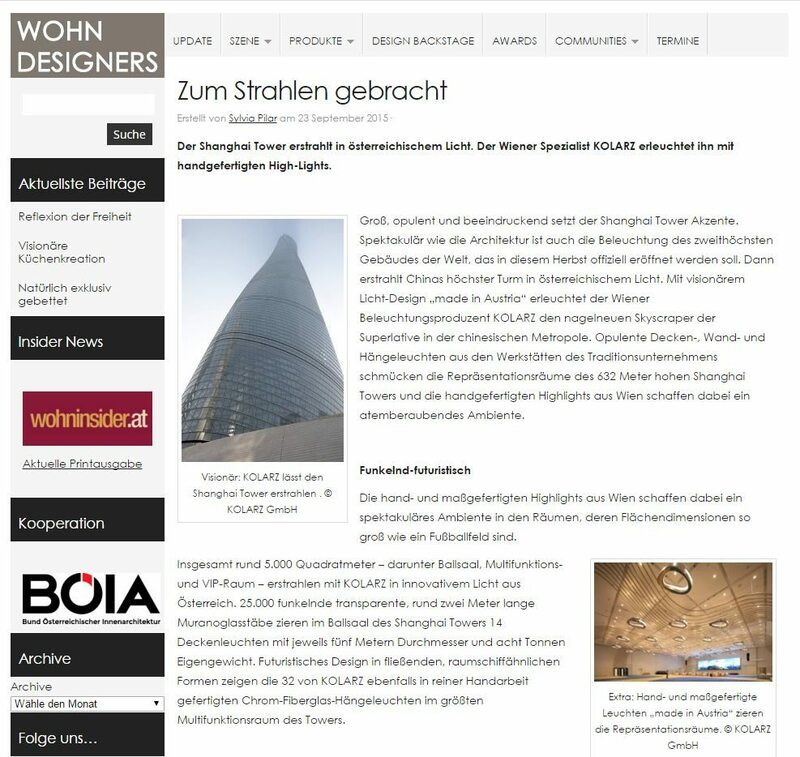 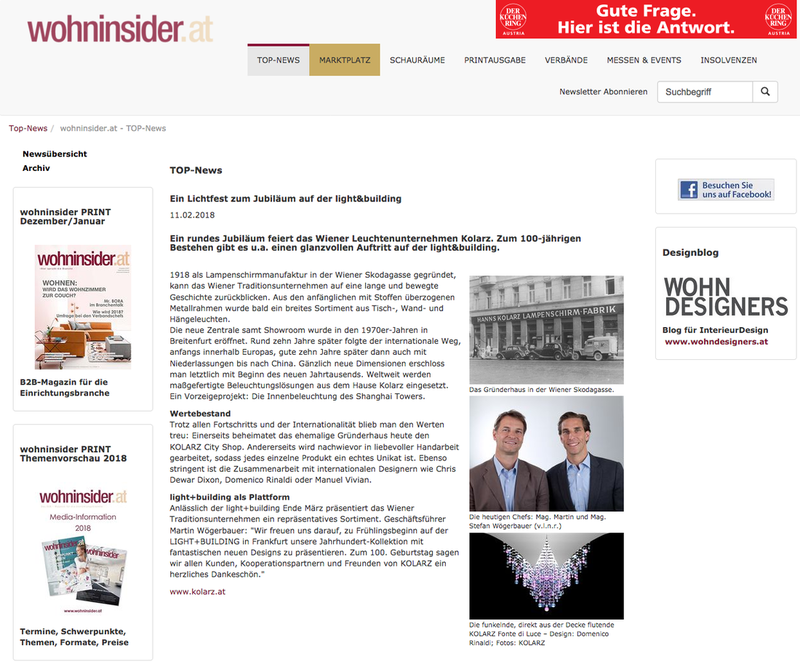 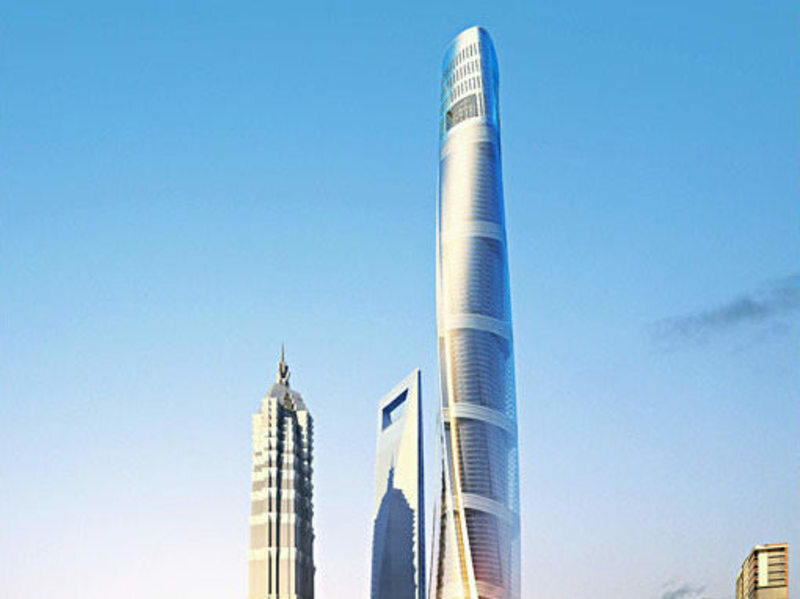 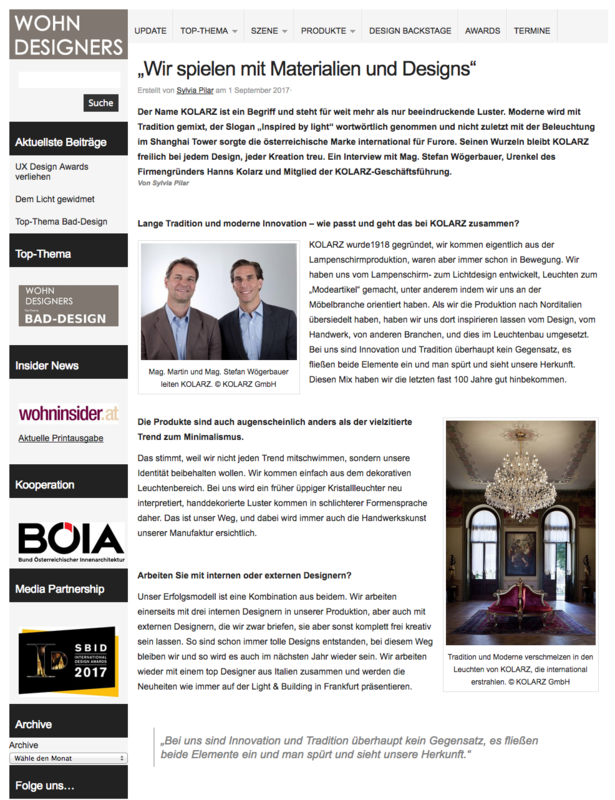 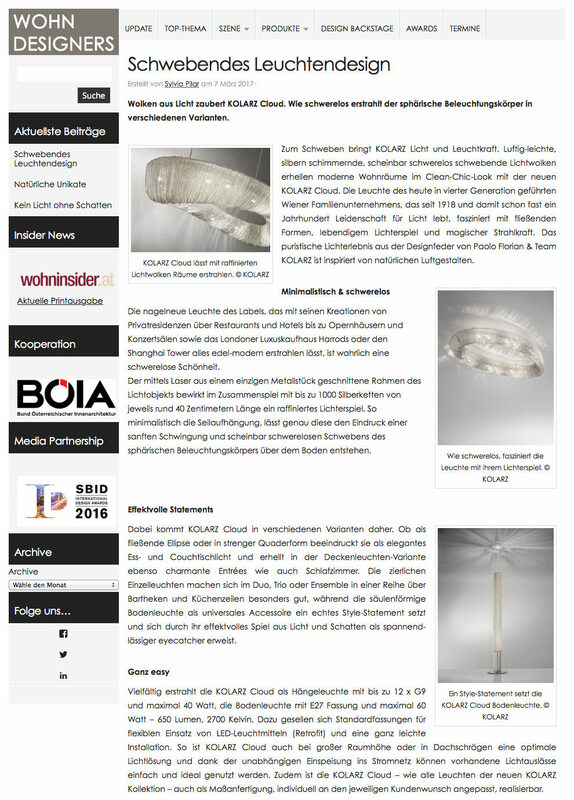 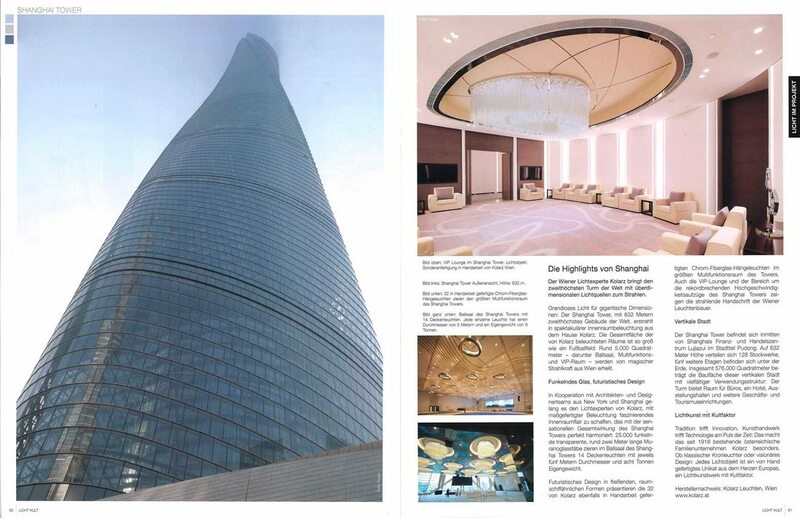 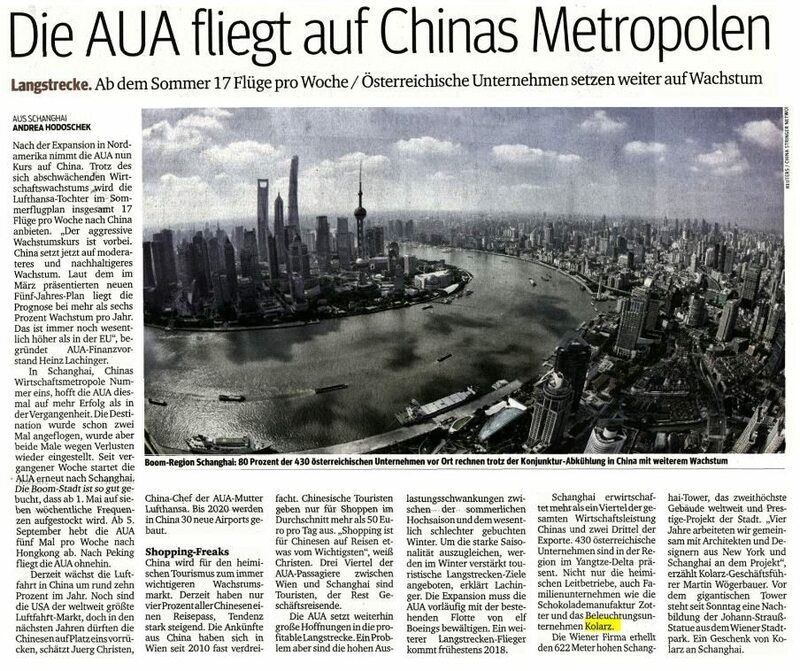 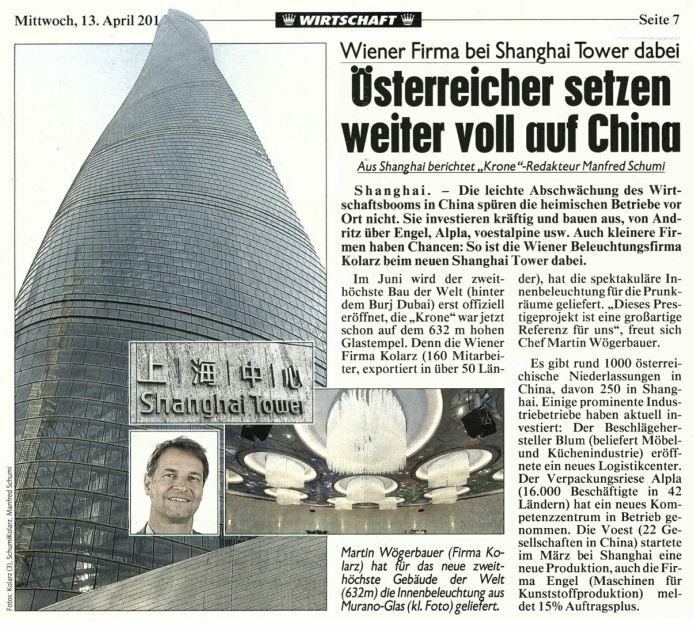 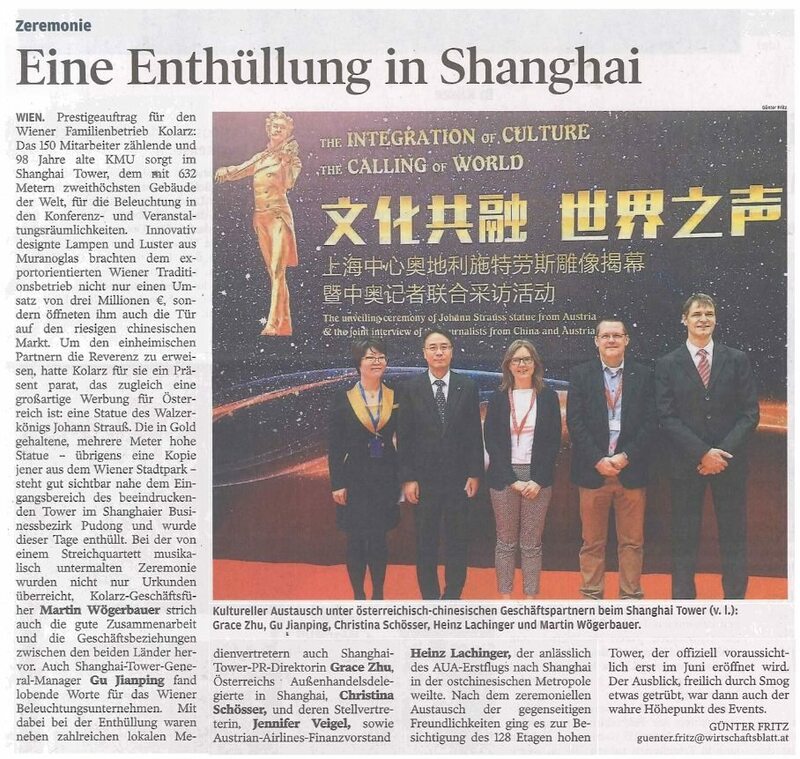 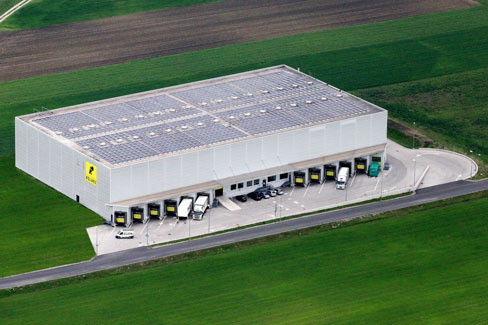 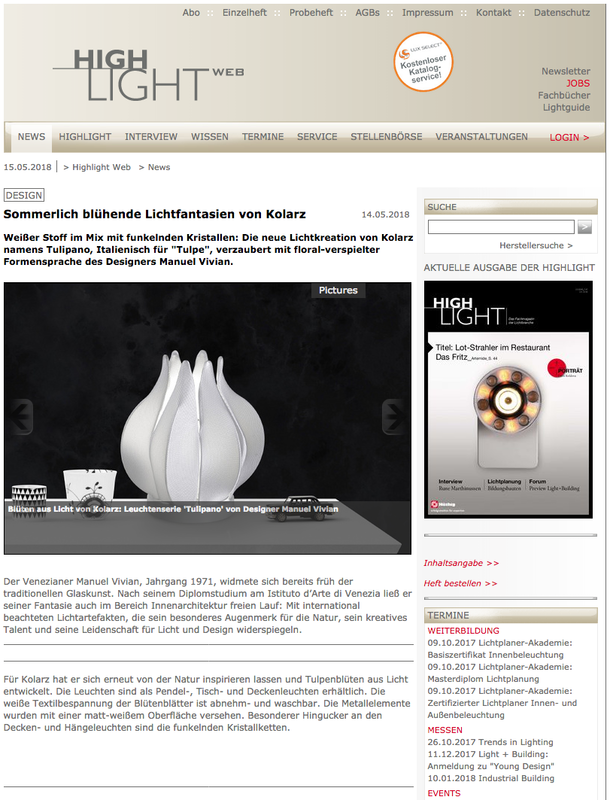 einen glanzvollen Auftritt auf der light&building. 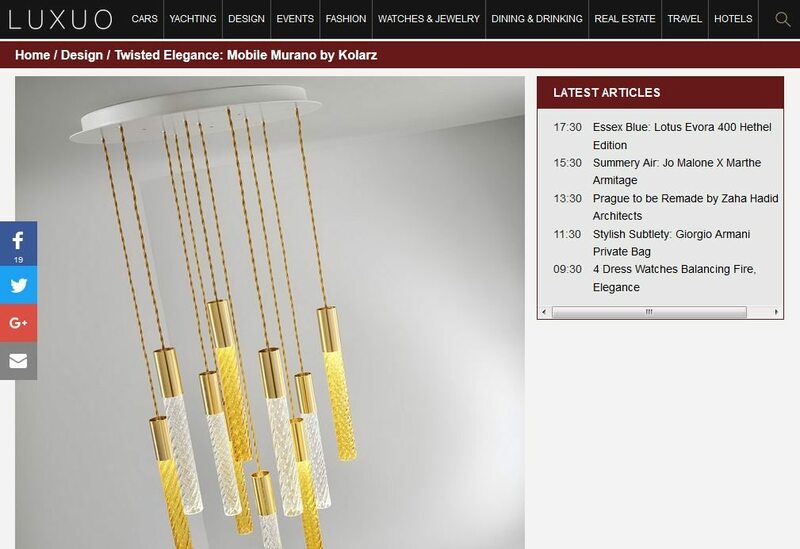 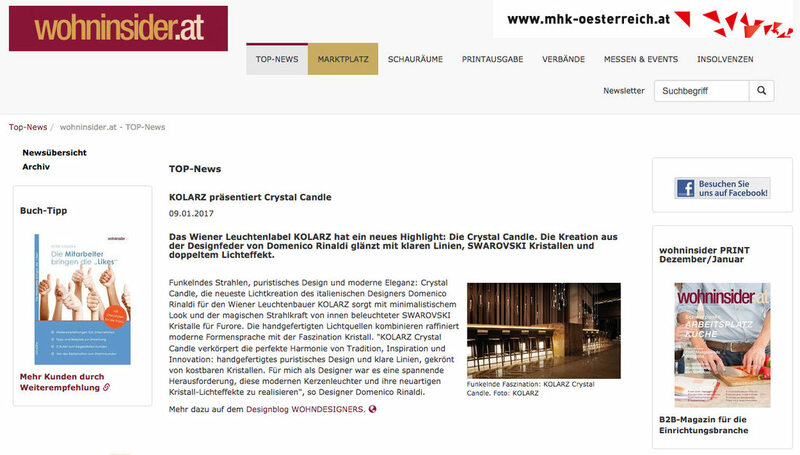 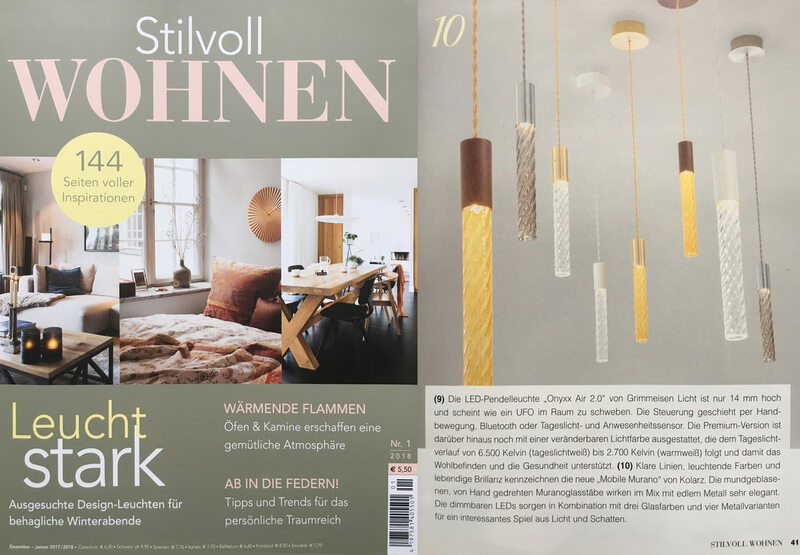 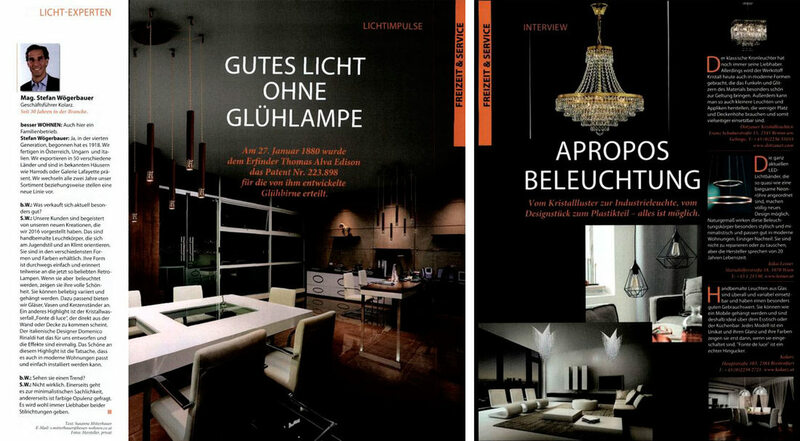 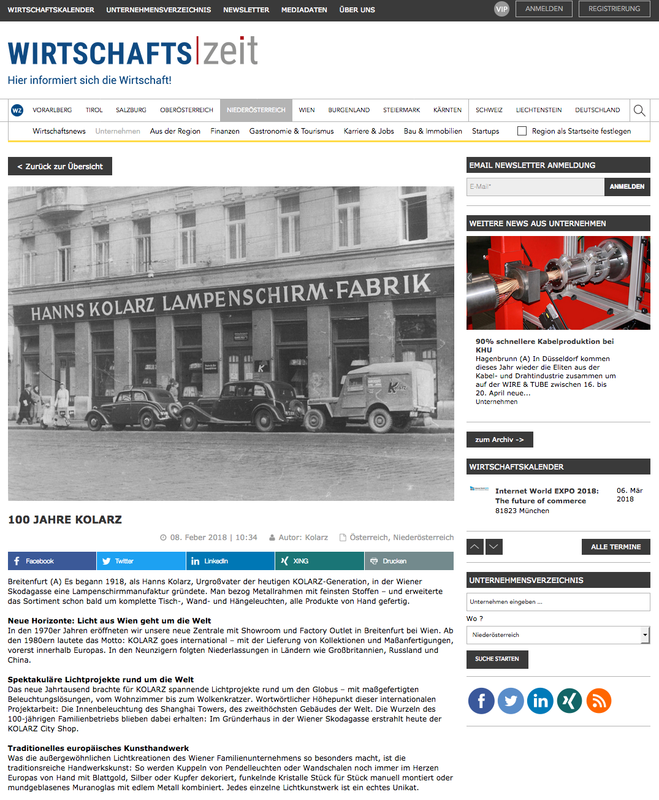 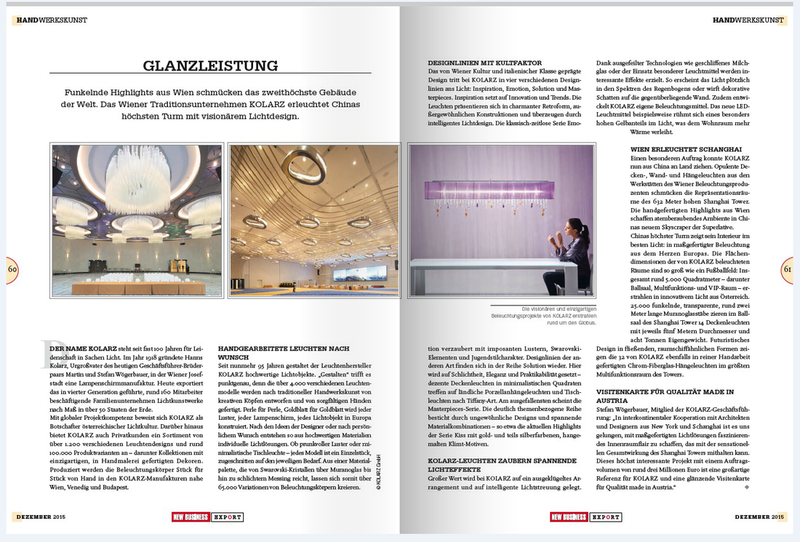 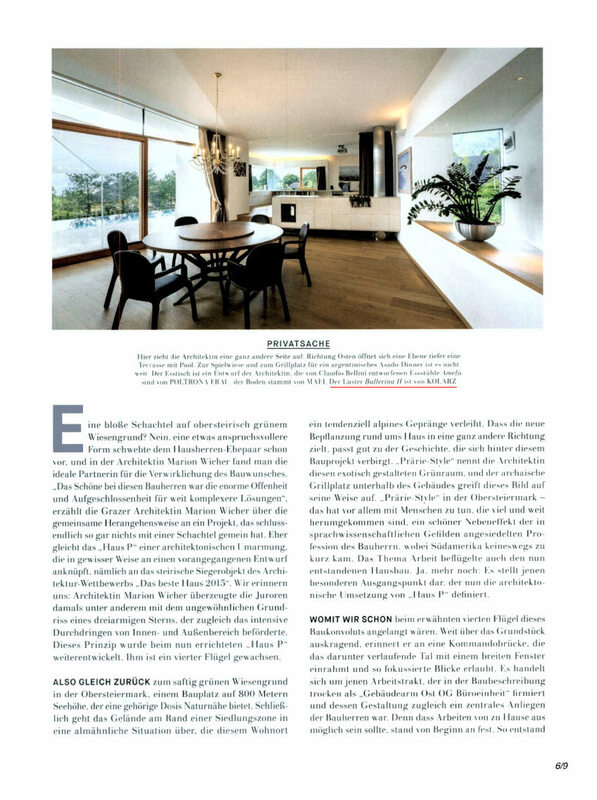 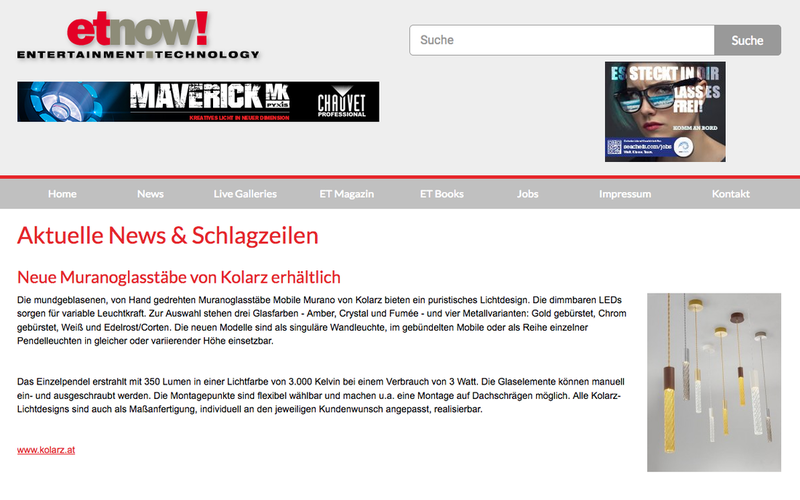 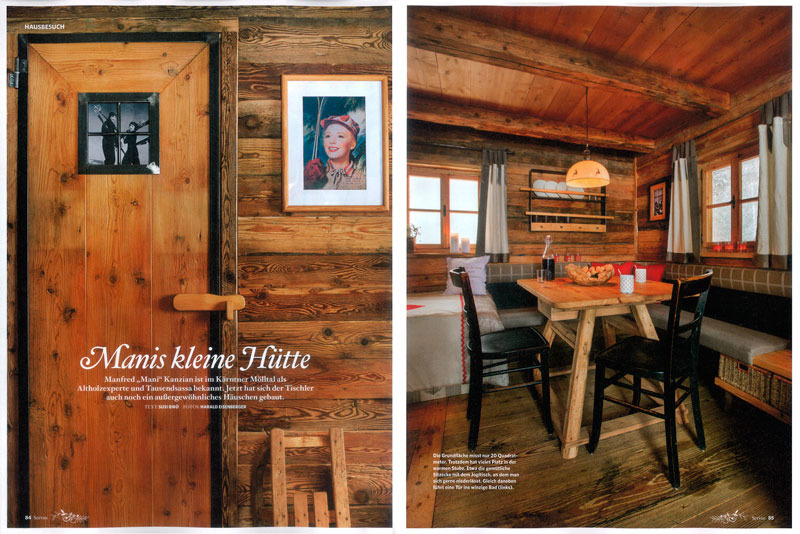 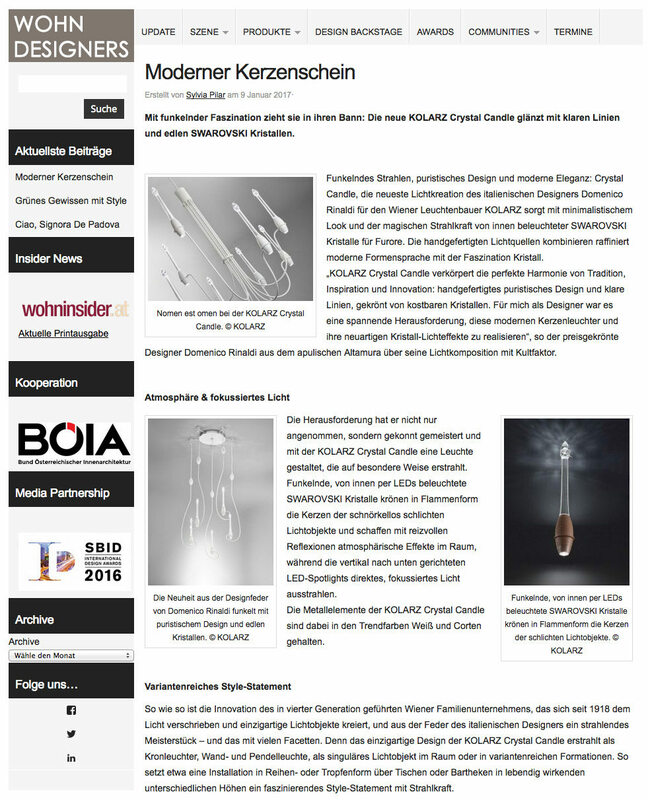 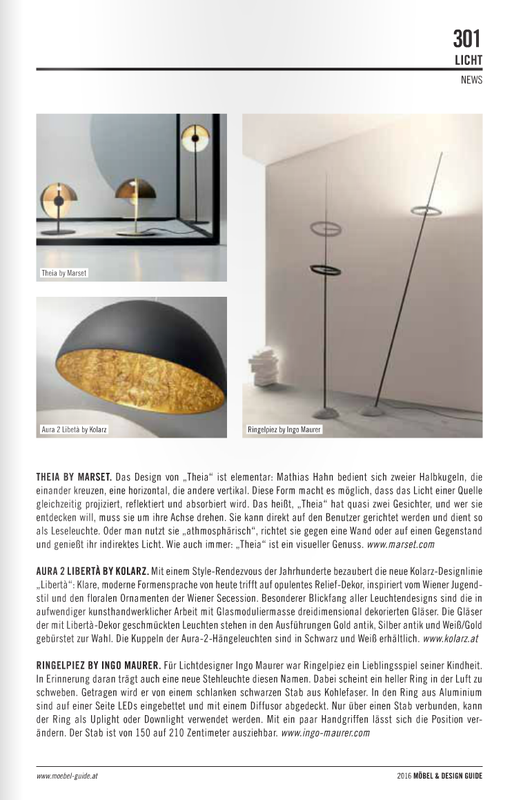 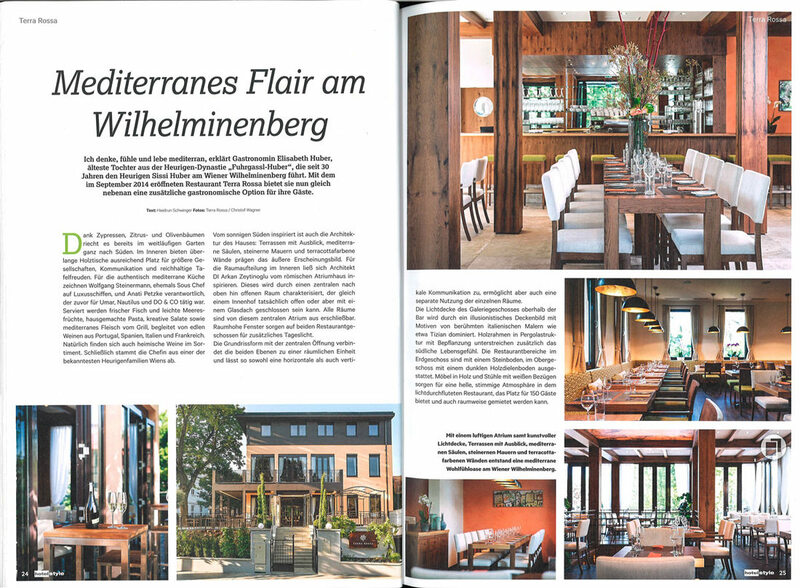 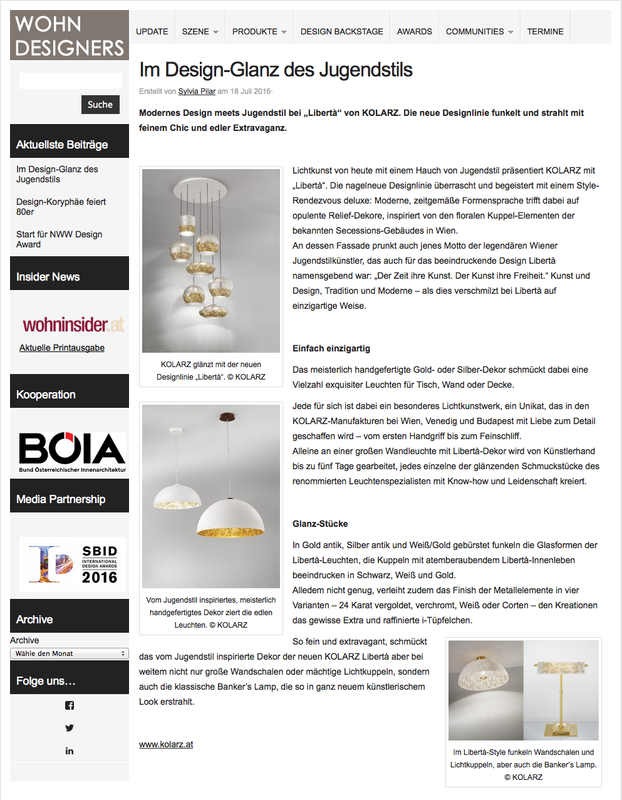 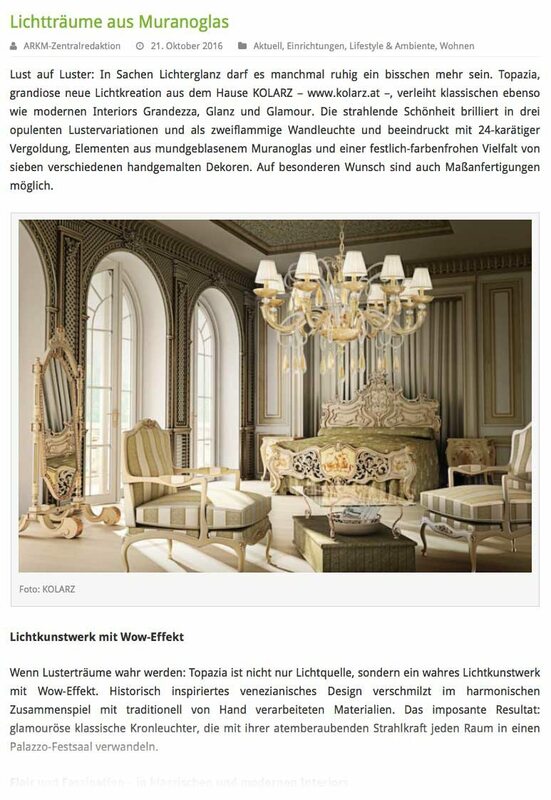 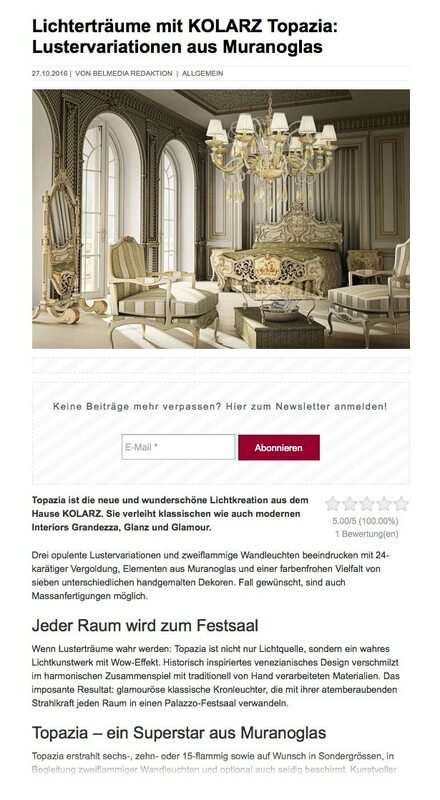 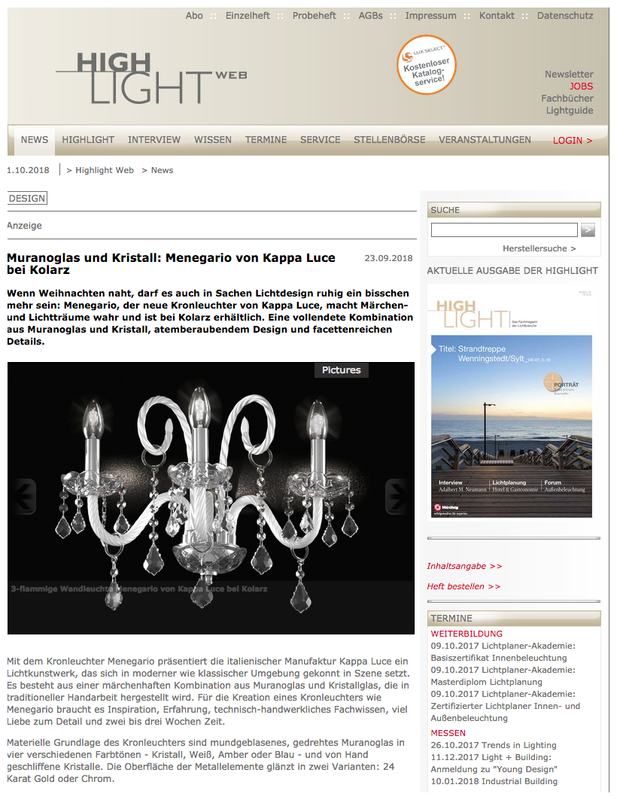 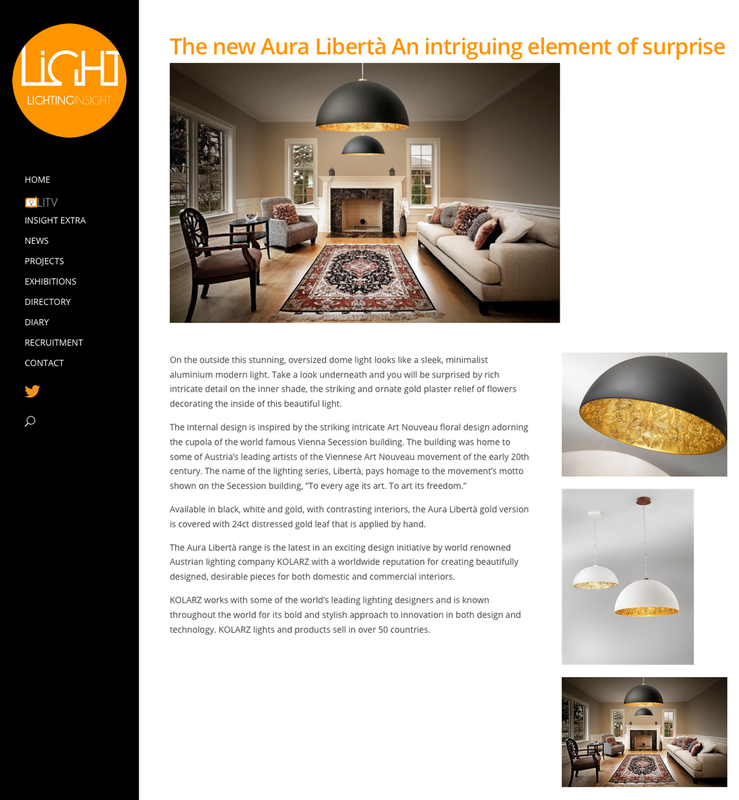 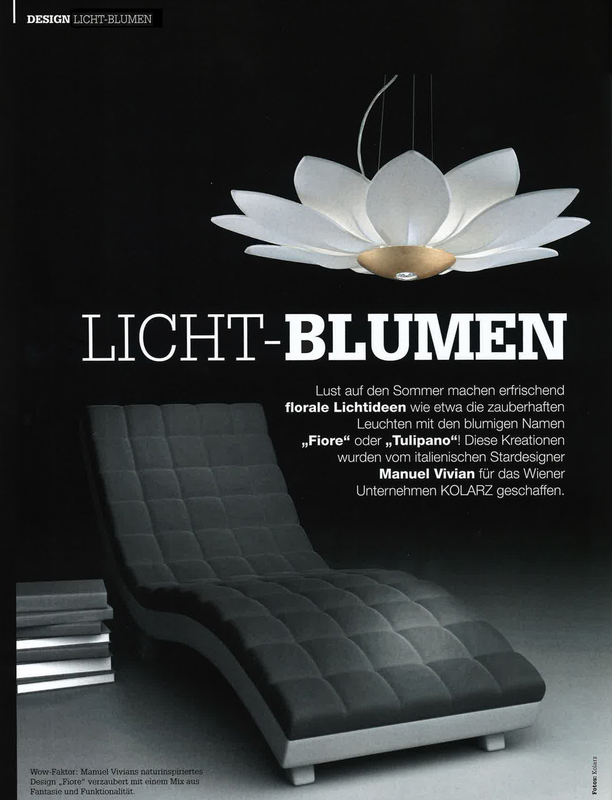 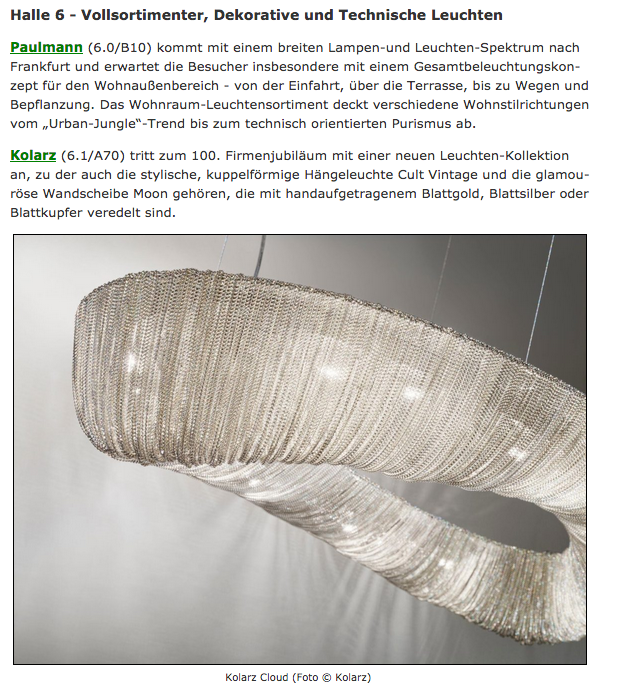 Klare Linien, leuchtende Farben und lebendige Brillanz kennzeichnen die neue »Mobile Murano« von Kolarz. 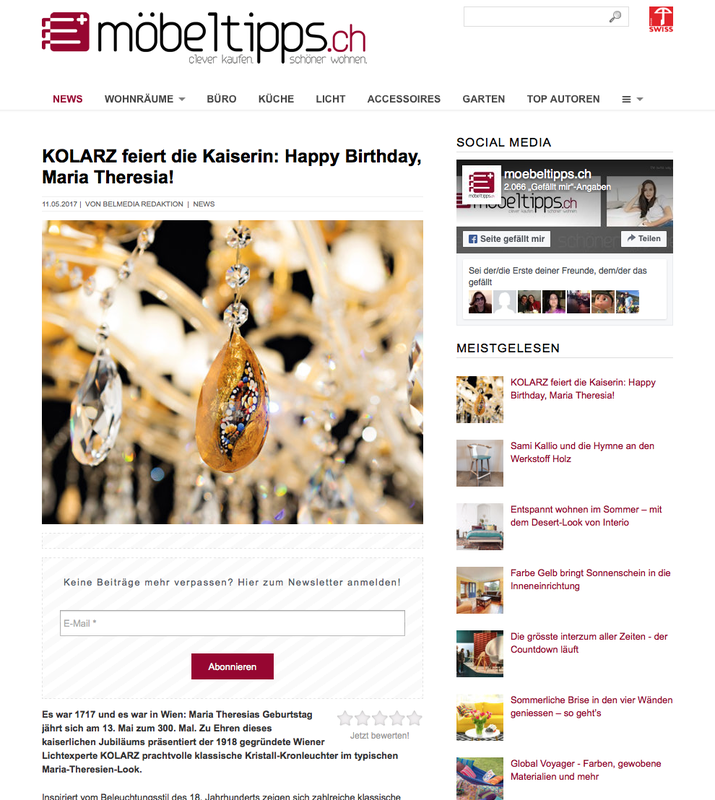 KOLARZ feiert die Kaiserin: Happy Birthday, Maria Theresia! 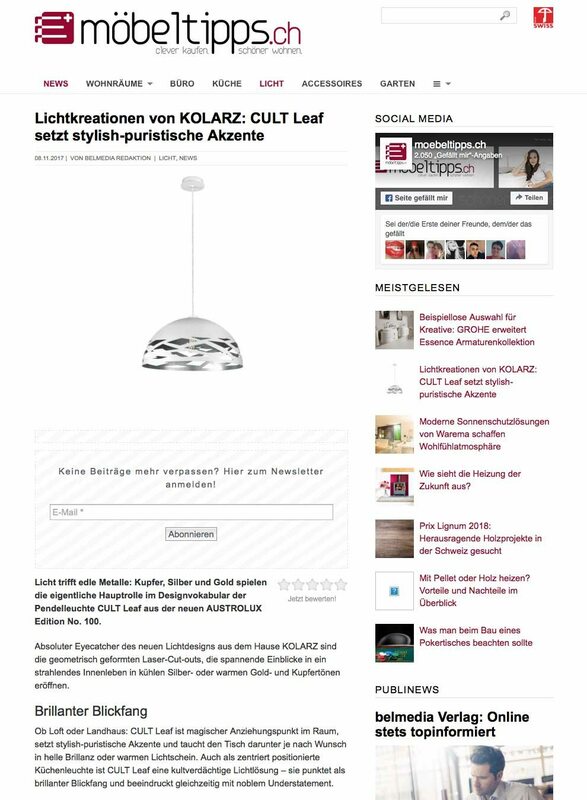 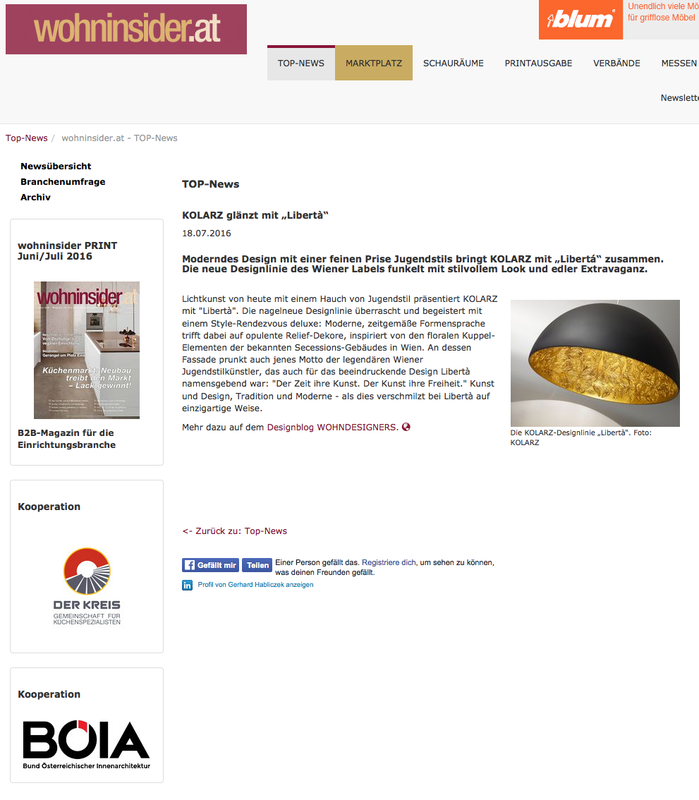 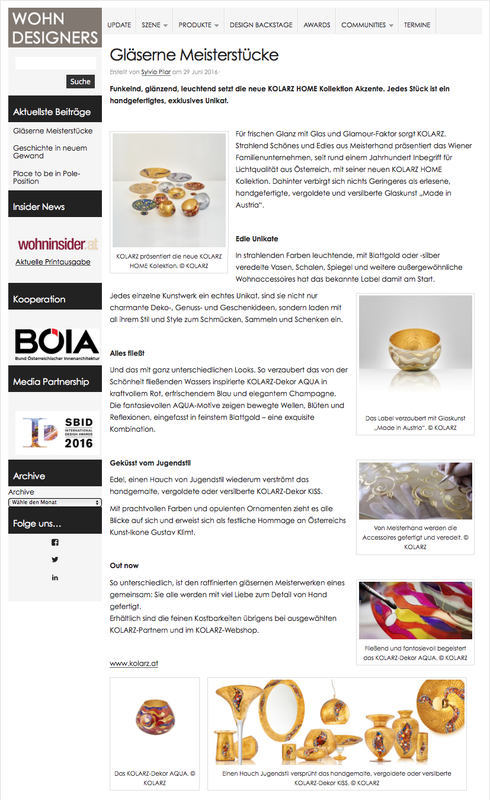 KOLARZ Fantasia Specchio fasziniert mit farbenfrohem Formenmix und magischen Spiegeleffekten. 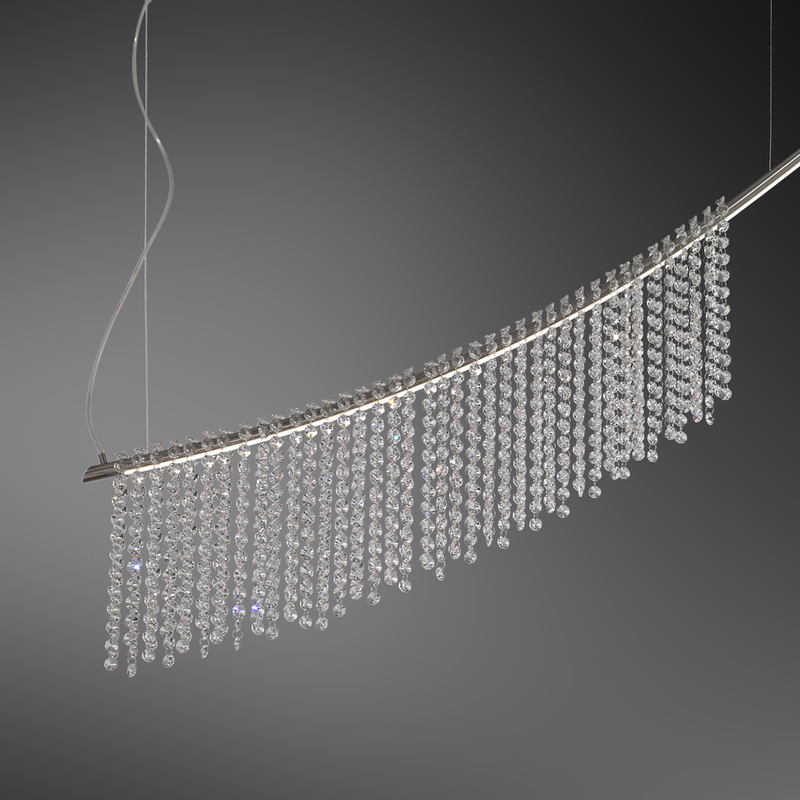 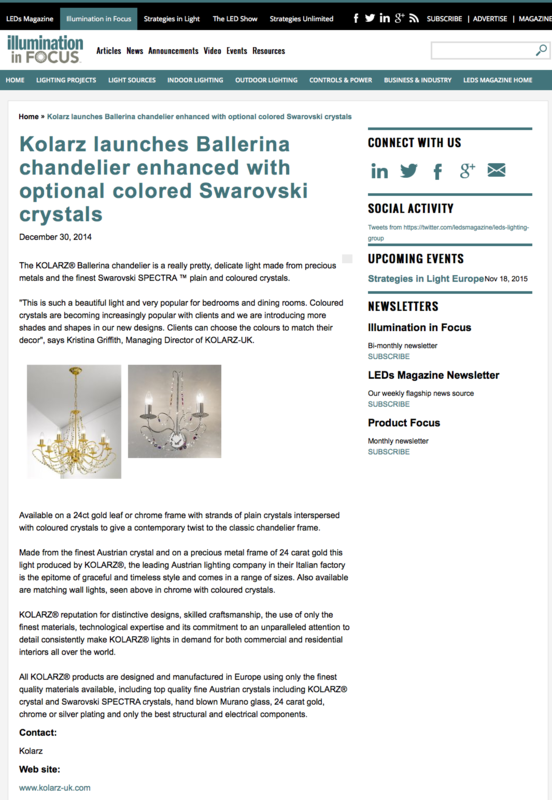 A classically elegant SWAROVSKI crystal light from the House of KOLARZ. 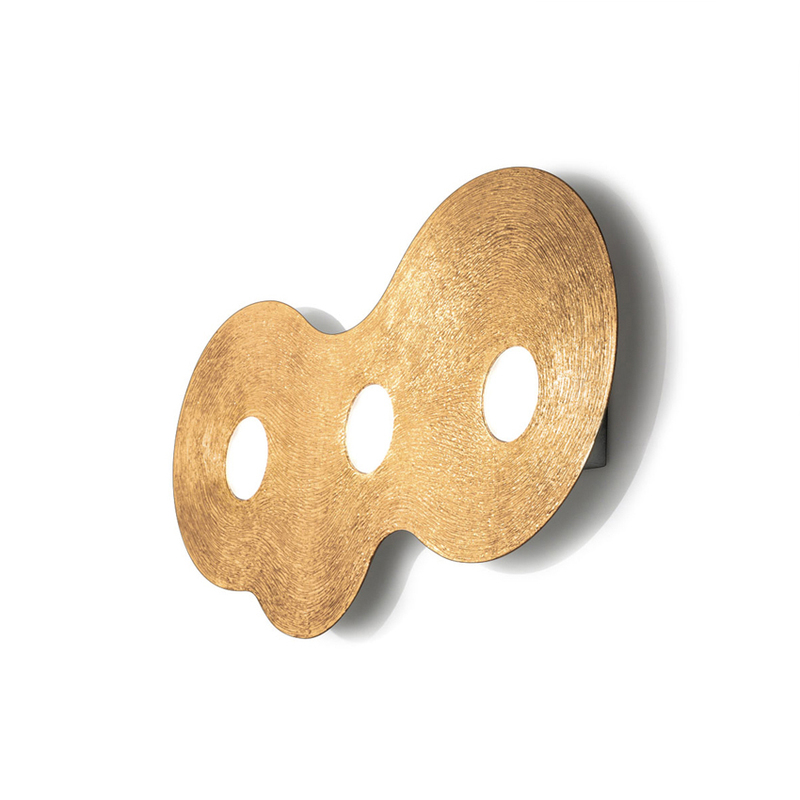 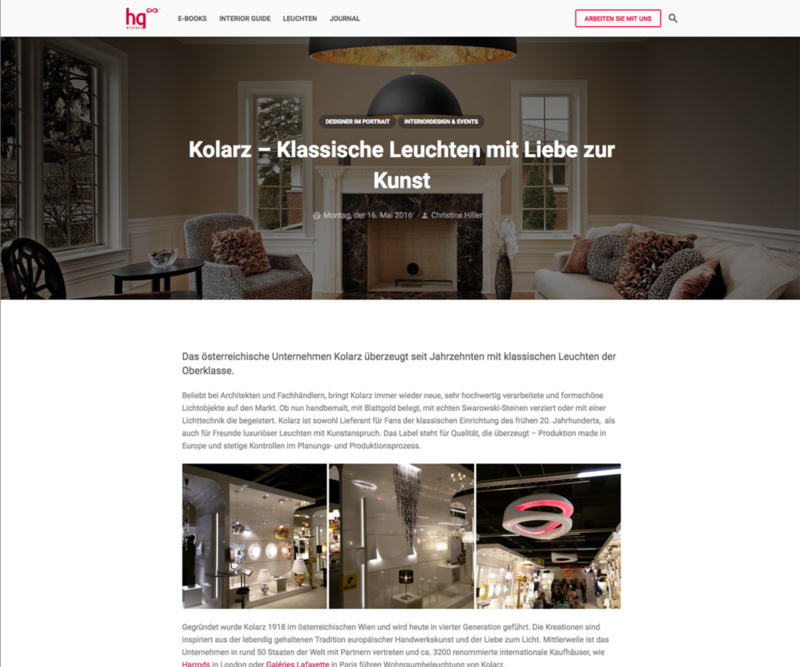 Neu bei KOLARZ: Exklusive Accessoires – von Hand bemalt, vergoldet und versilbert – als perfekte Deko-, Genuss- und Geschenkideen. 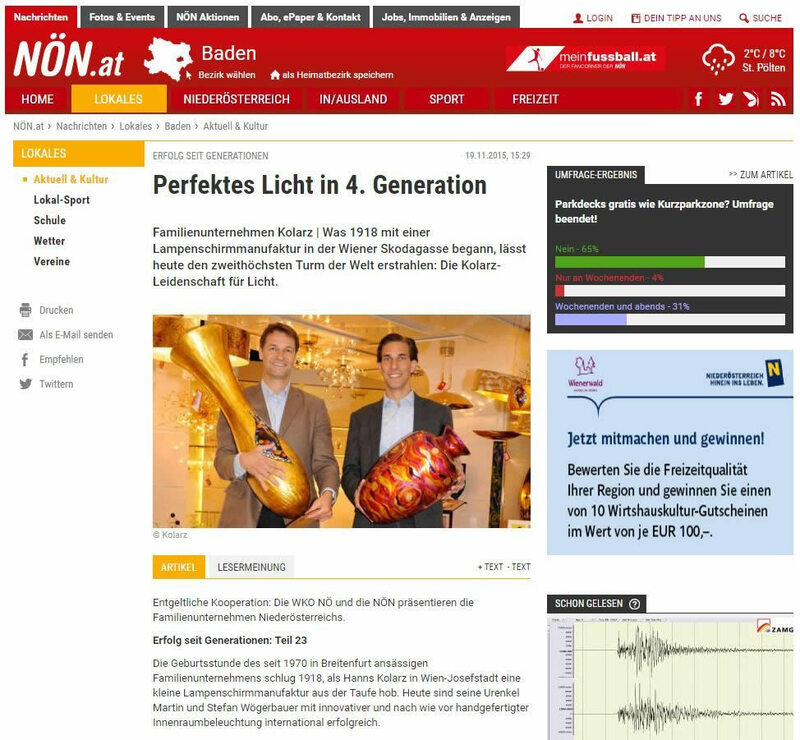 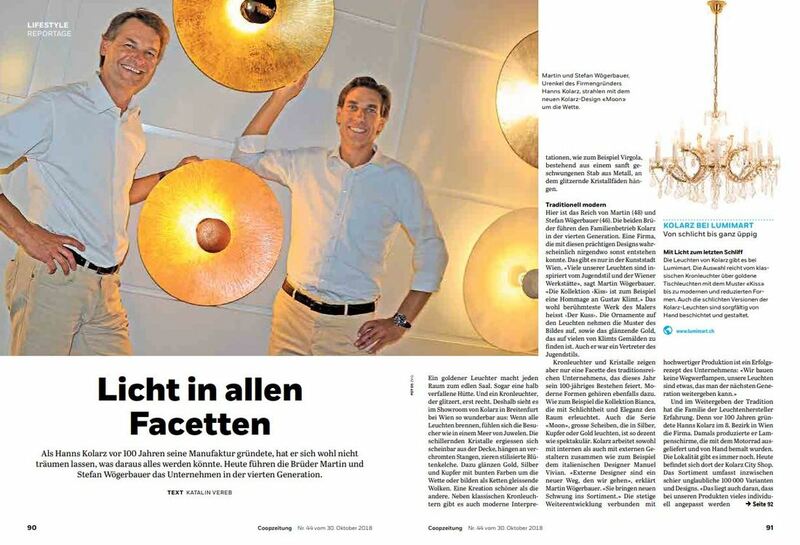 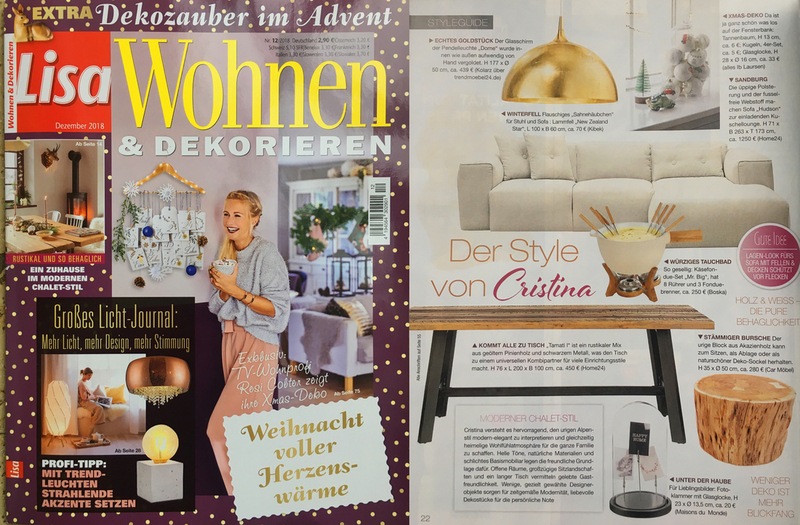 Leuchtende, funkelnde Kristallkaskaden, die direkt aus Wand und Decke fluten, sind atemberaubende Highlights der neuen KOLARZ-Kollektion. 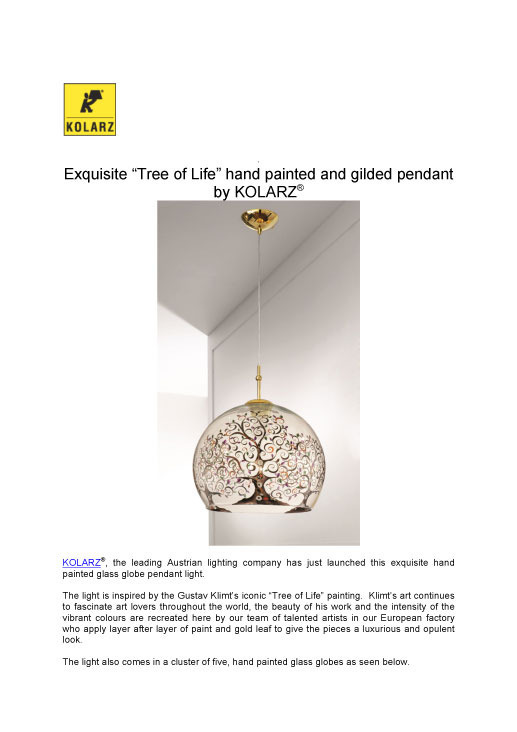 Hand painted and gilded pendant by KOLARZ. 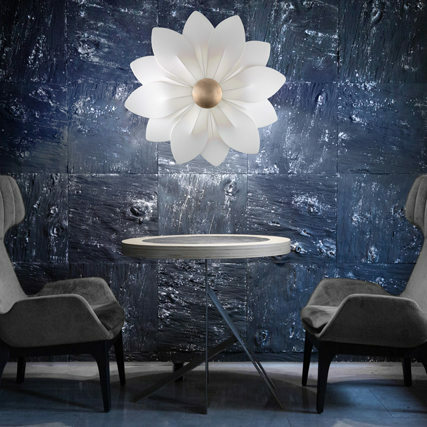 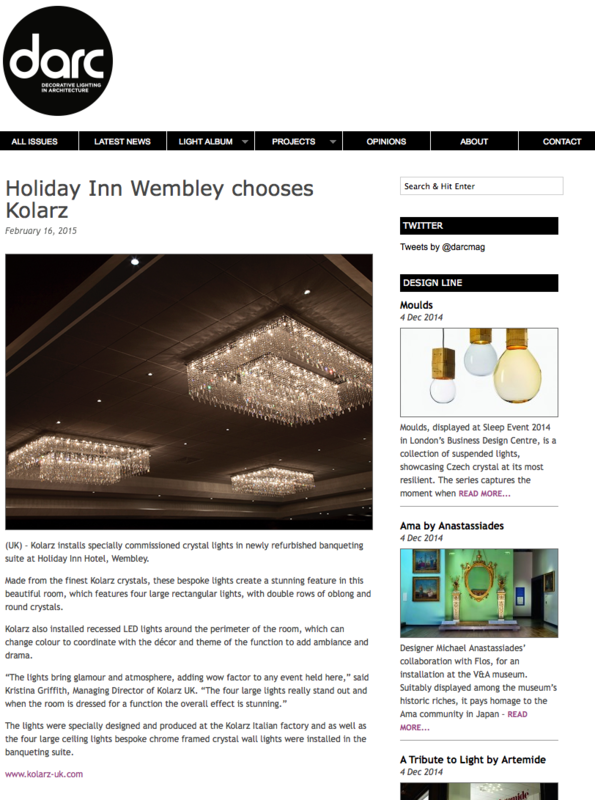 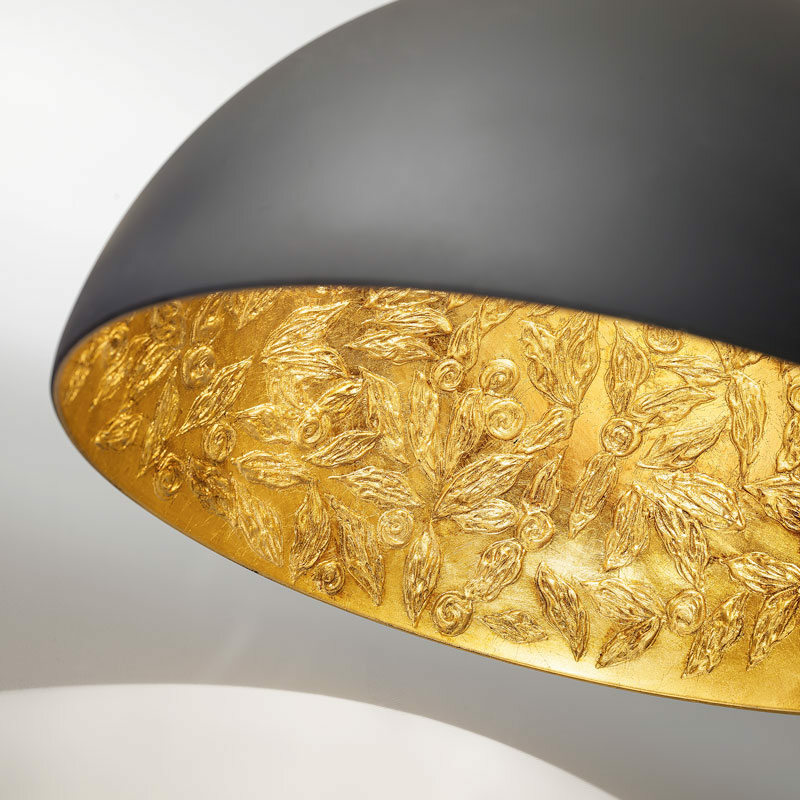 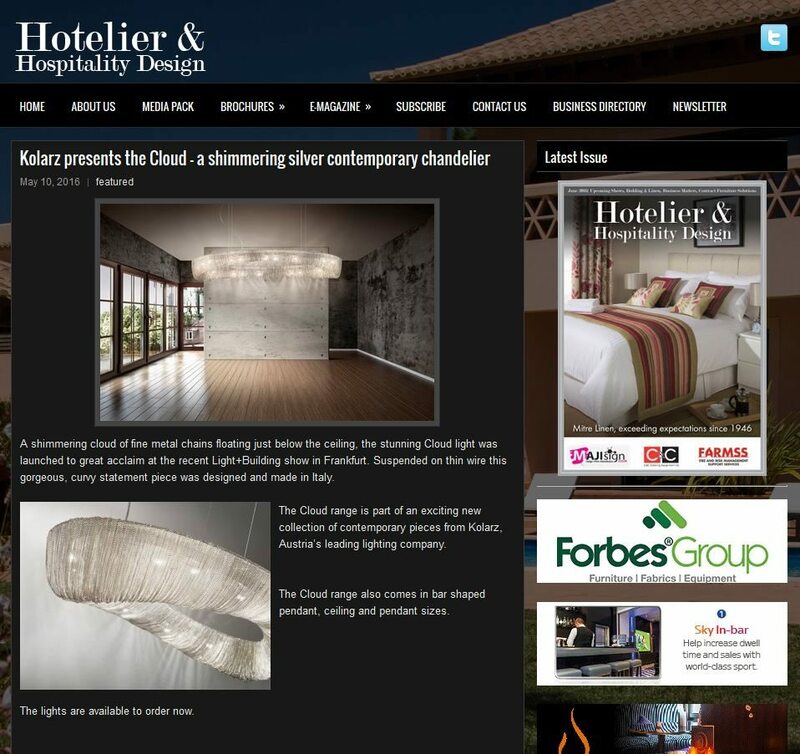 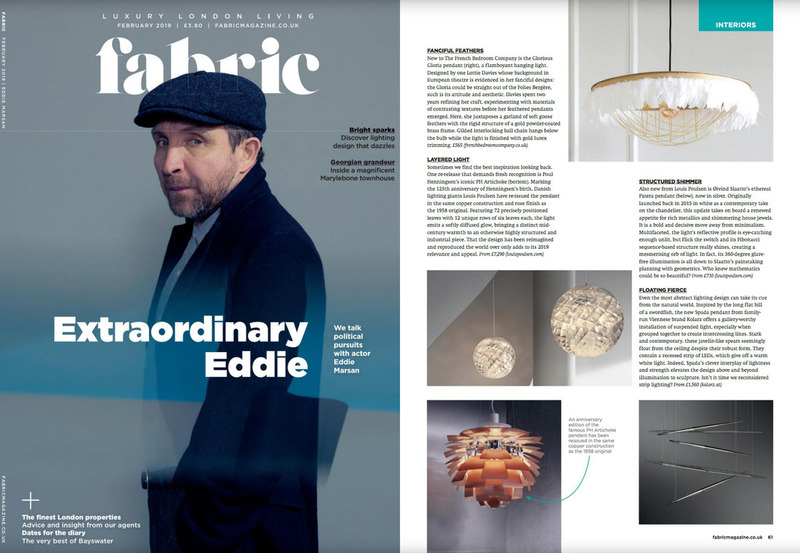 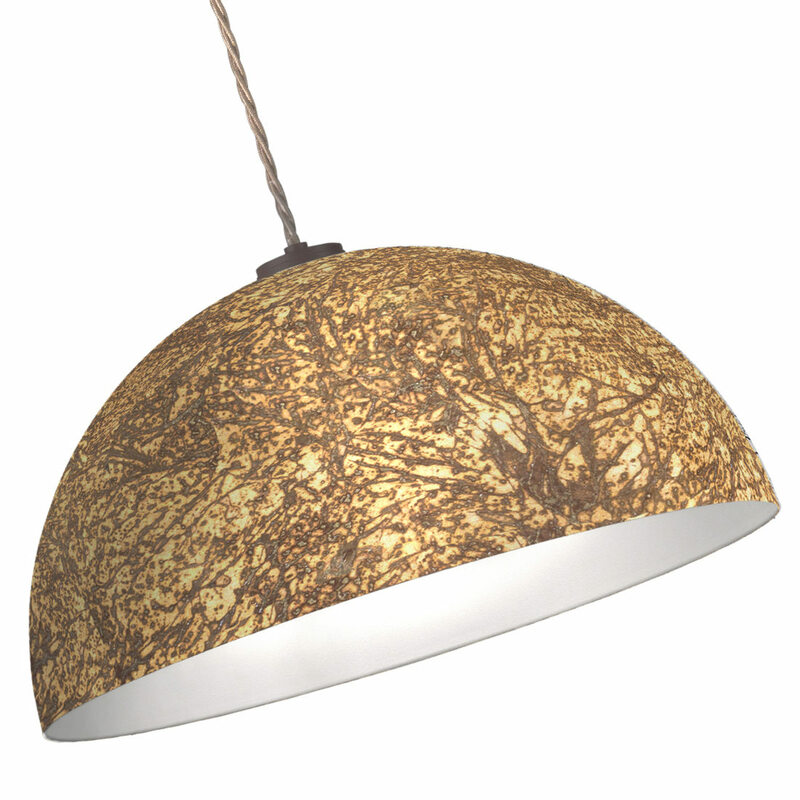 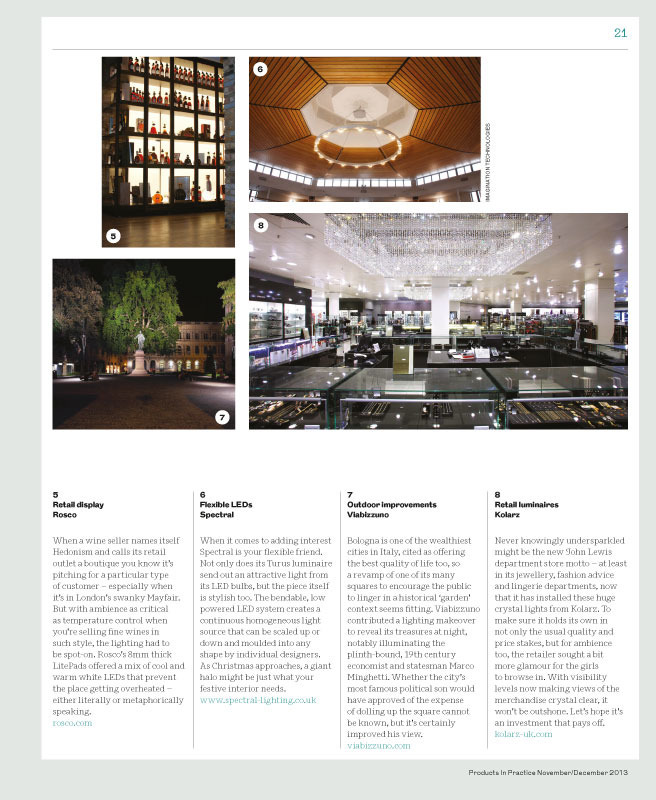 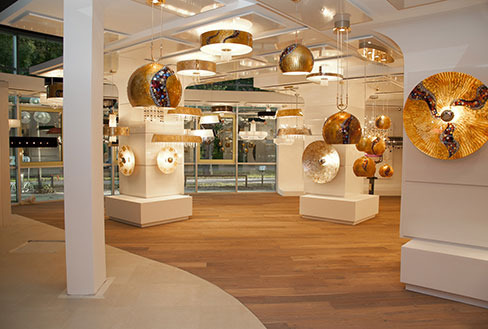 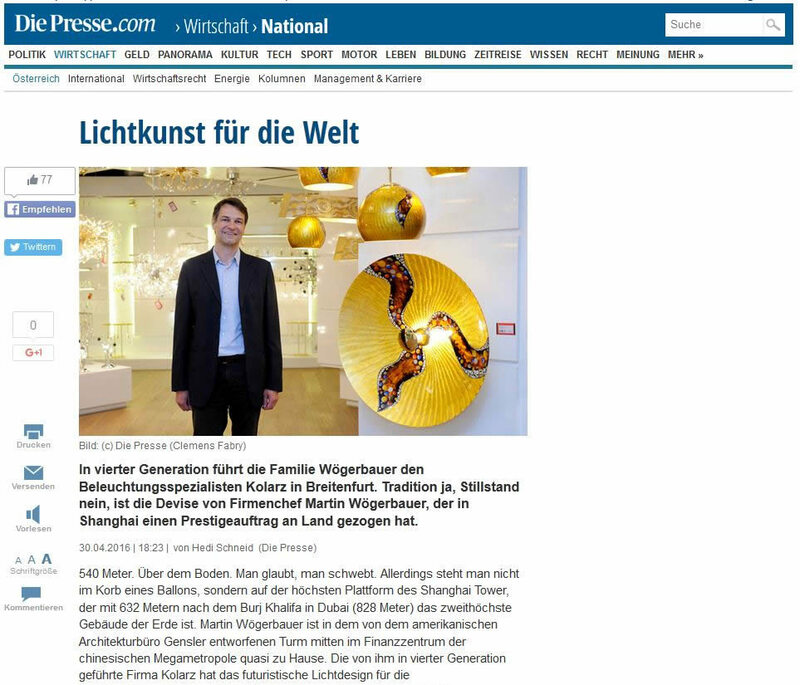 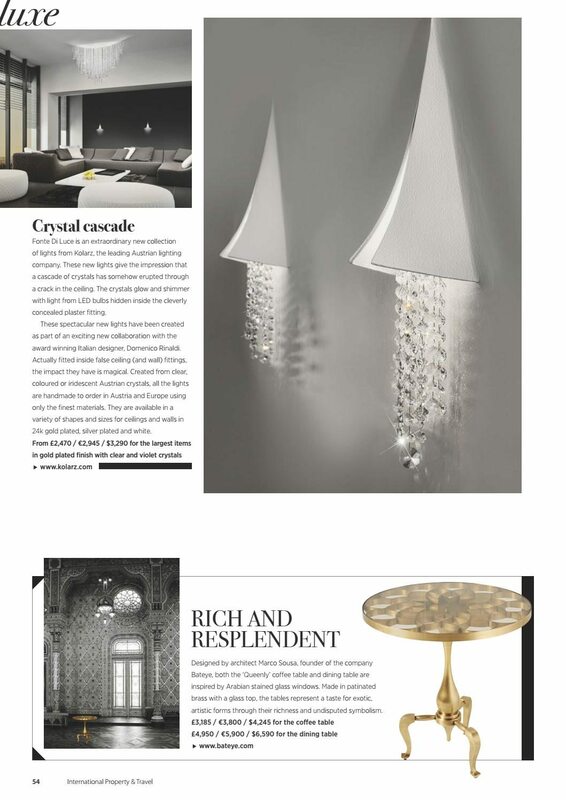 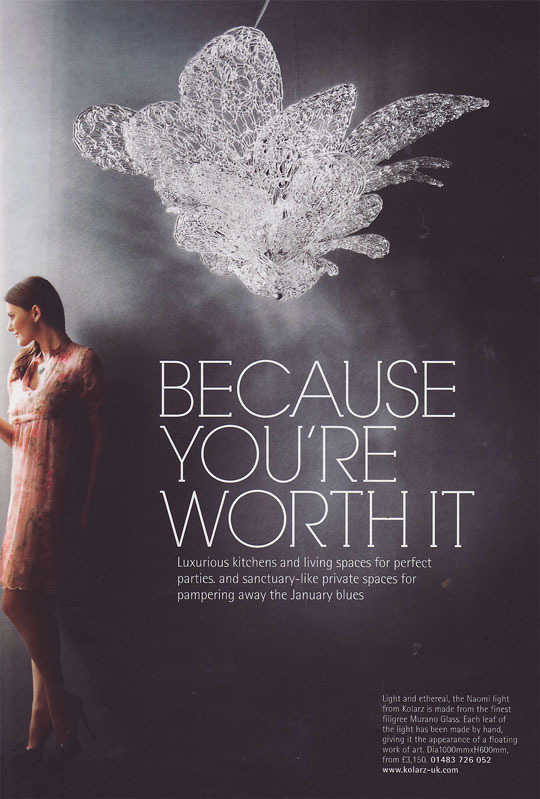 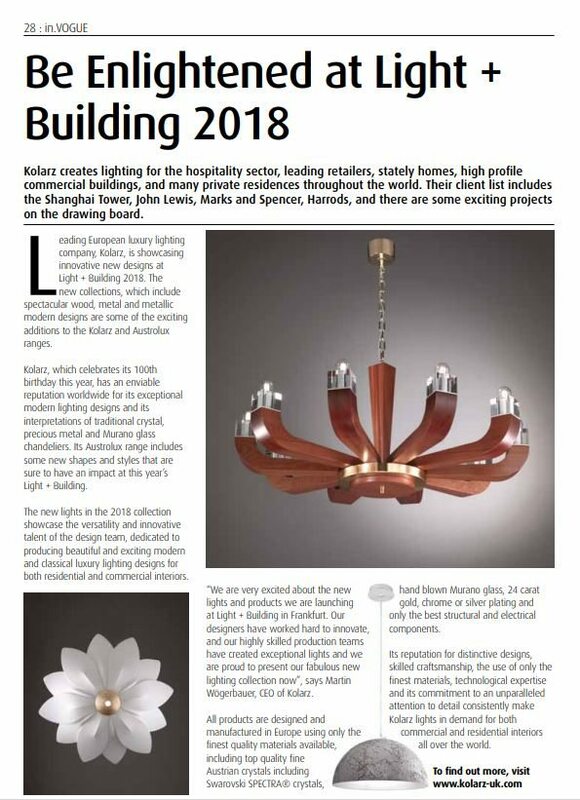 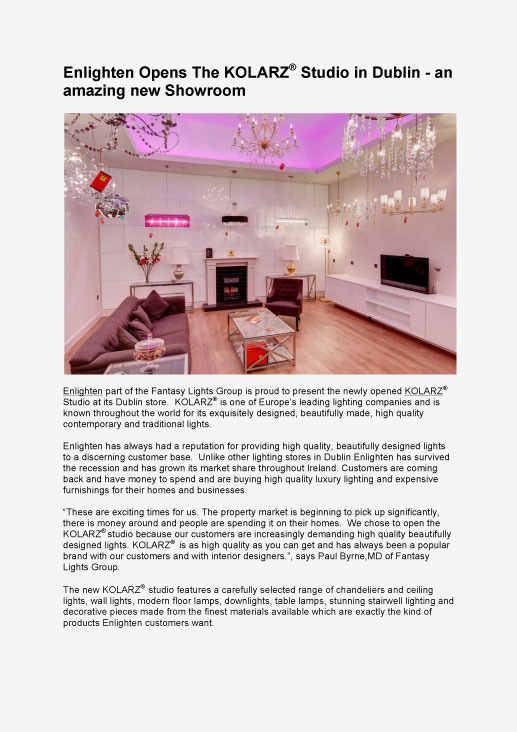 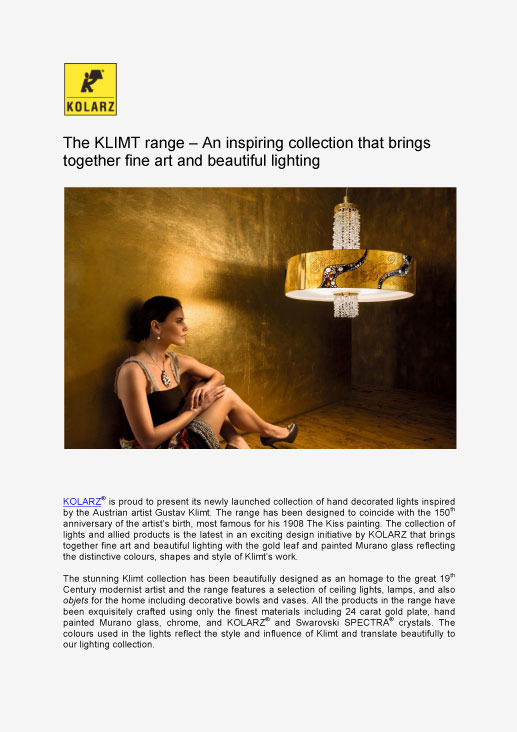 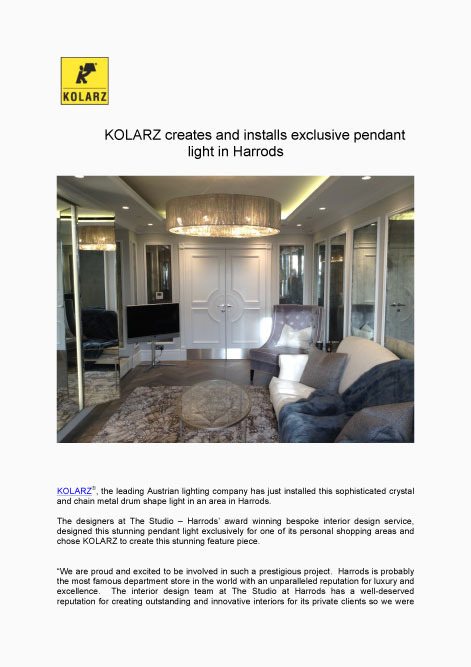 KOLARZ creates and installs exclusive pendant light in Harrods. 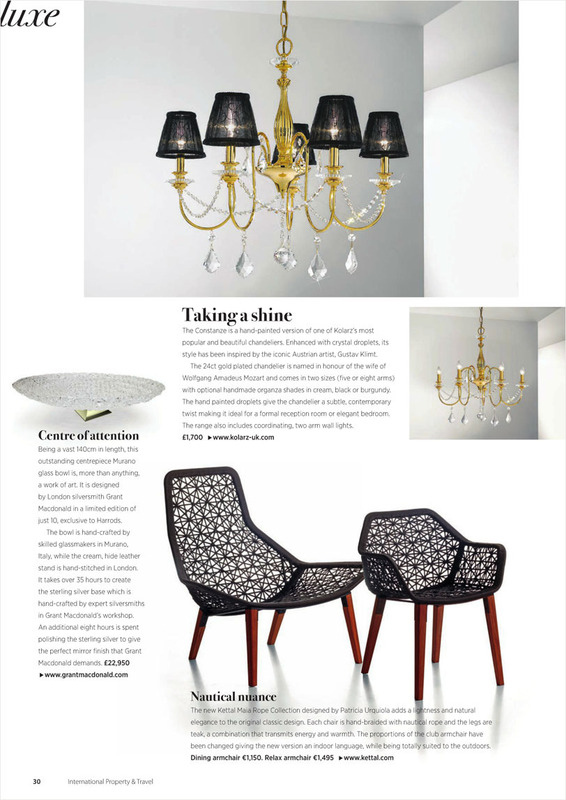 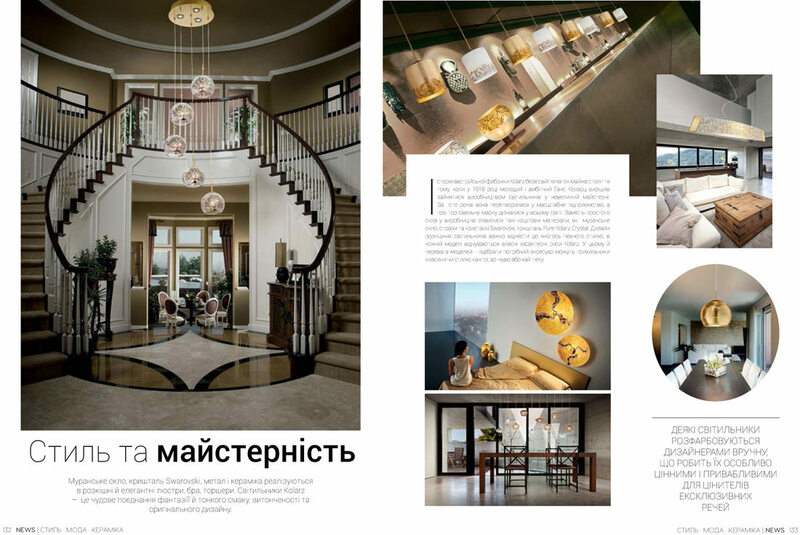 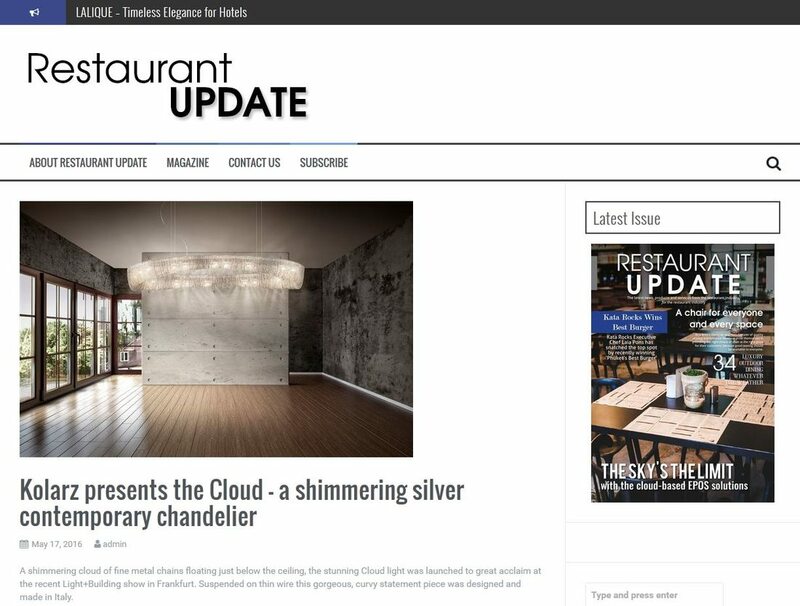 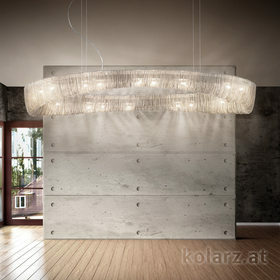 is a luxurious collection of lights which includes wall, ceiling, chandeliers, and as seen here, pendant lights. 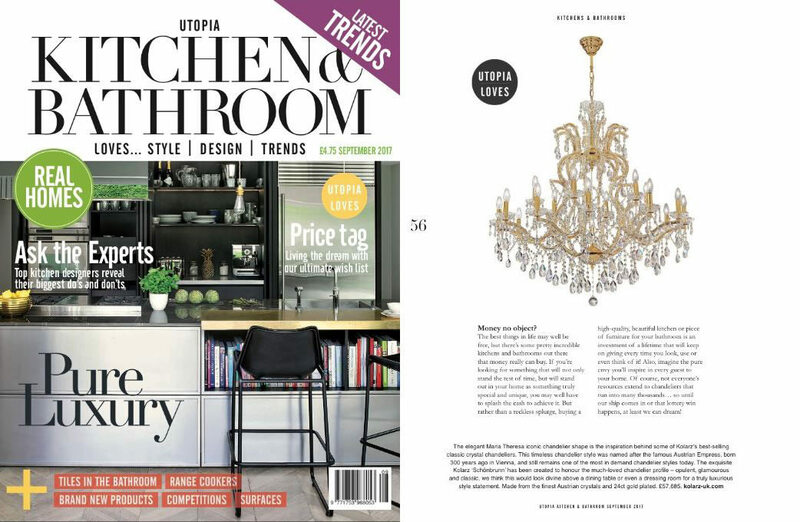 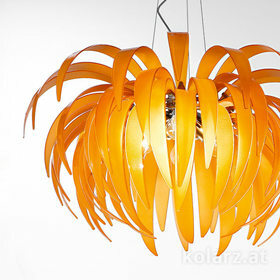 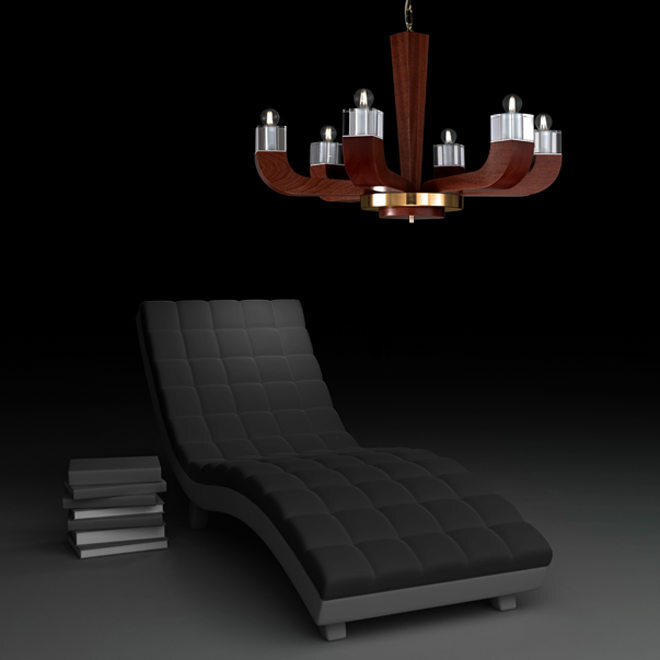 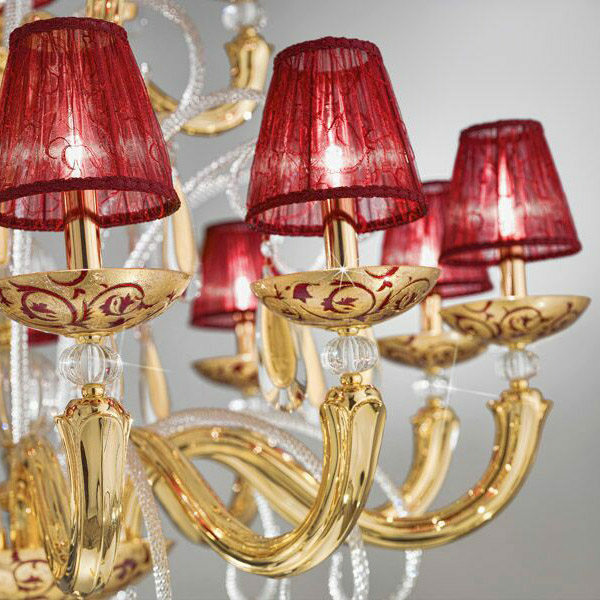 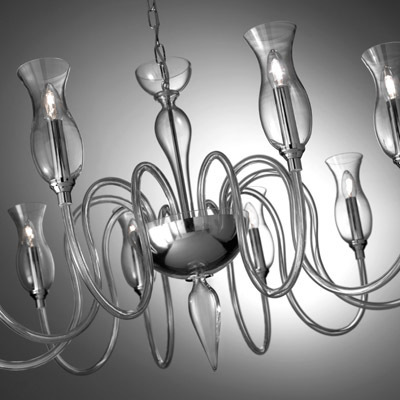 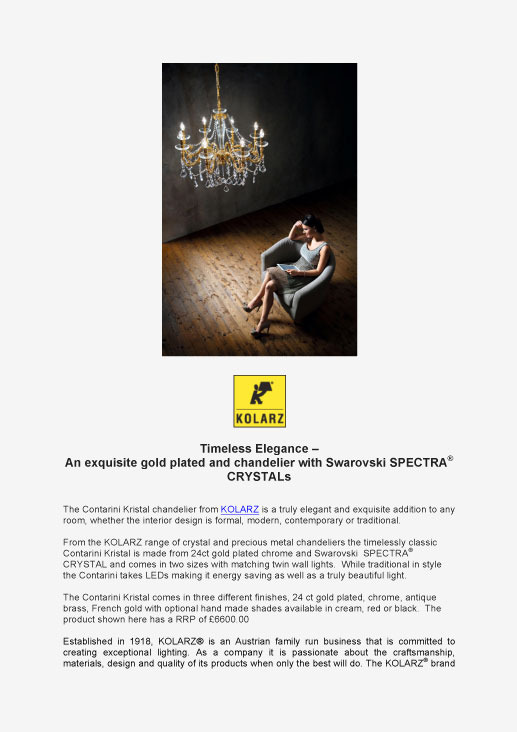 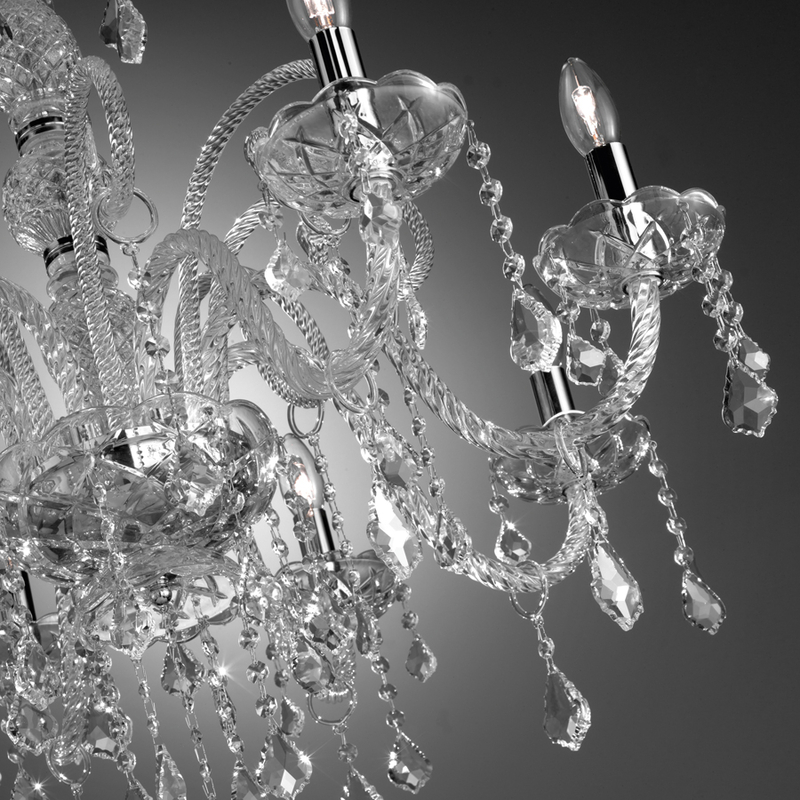 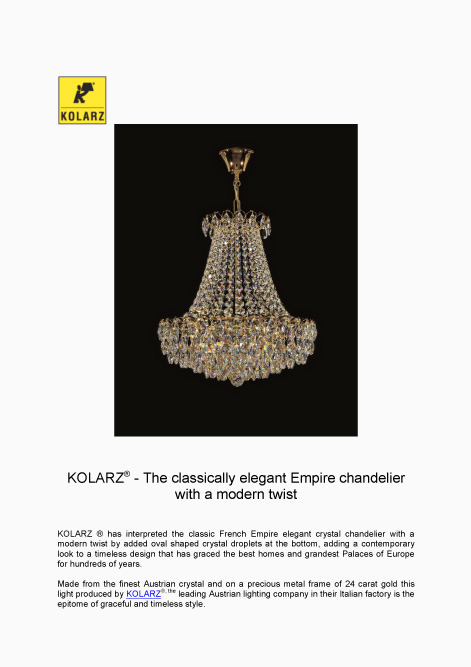 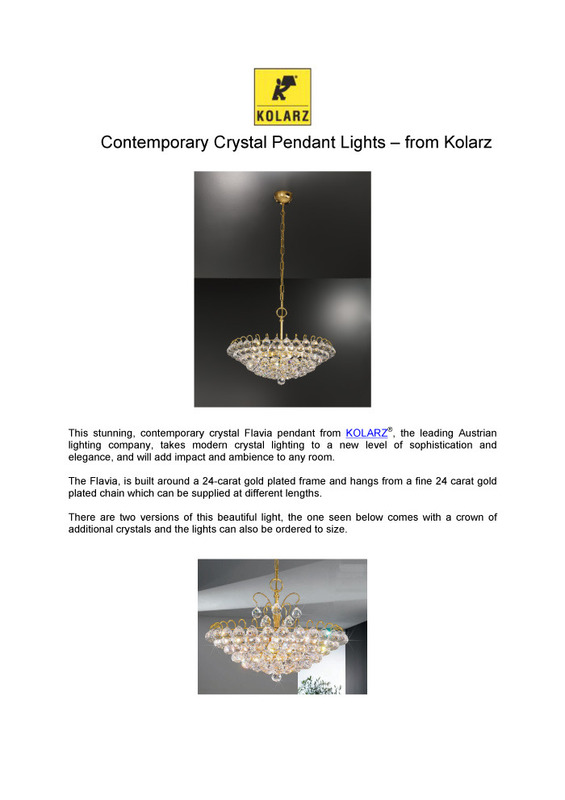 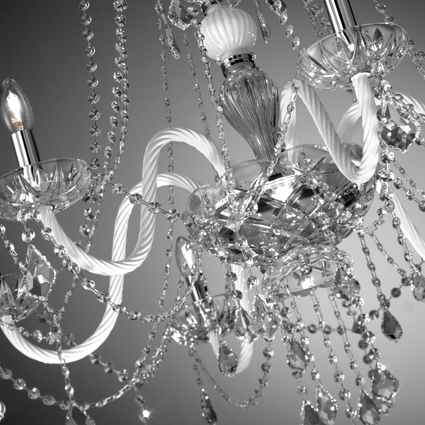 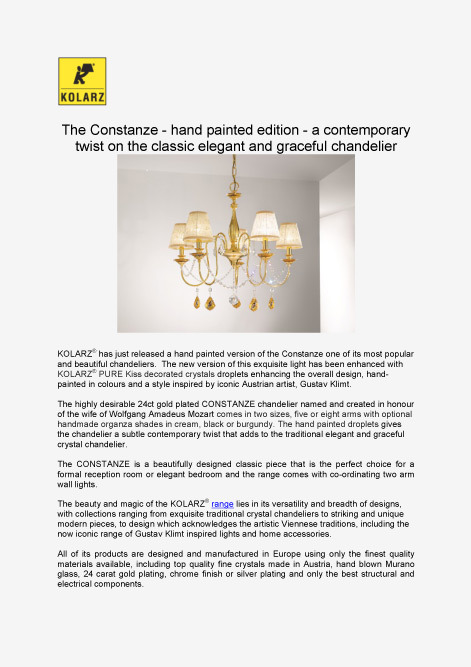 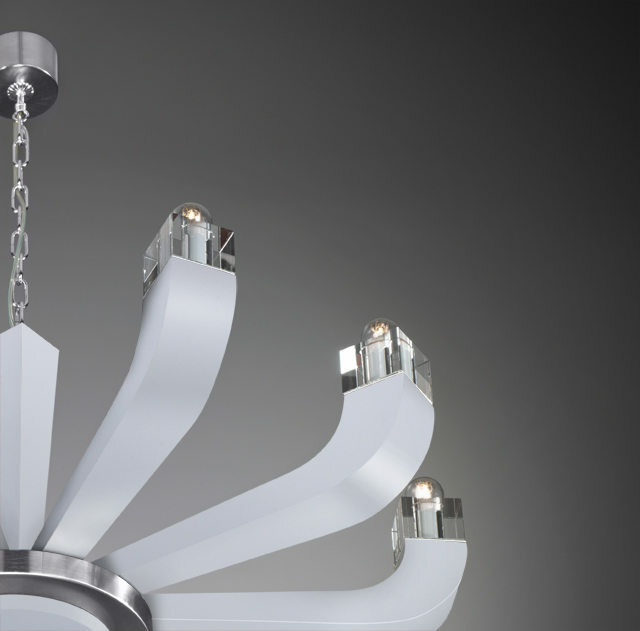 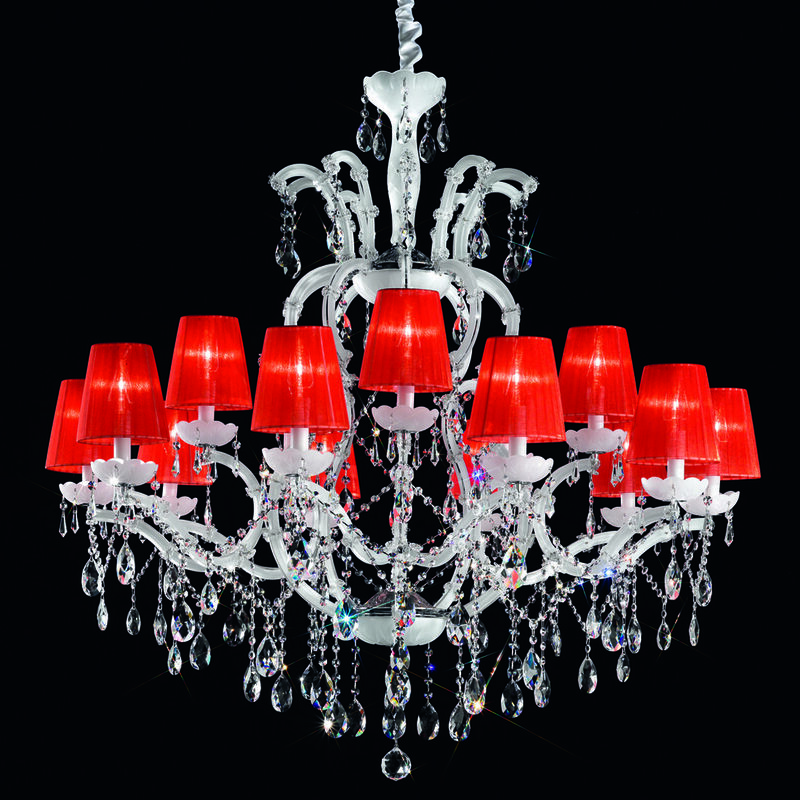 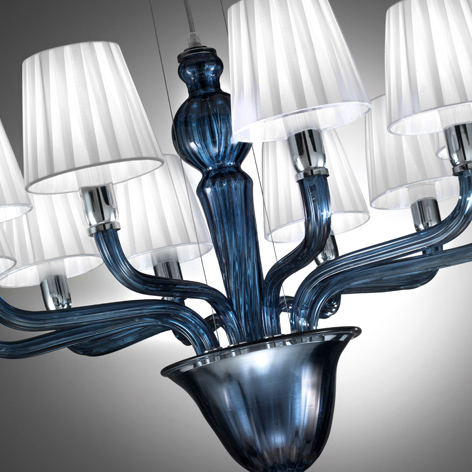 KOLARZ® - The classically elegant Empire chandelier with a modern twist. 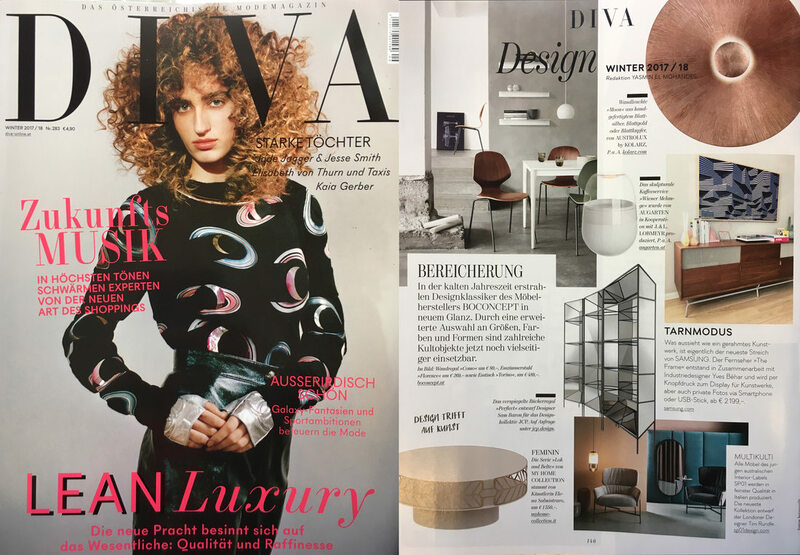 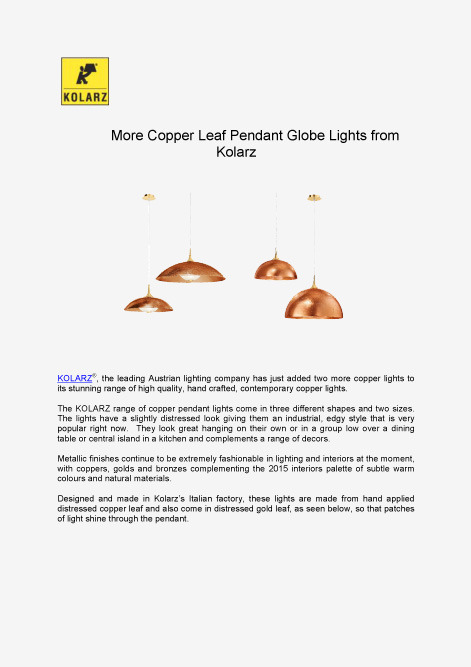 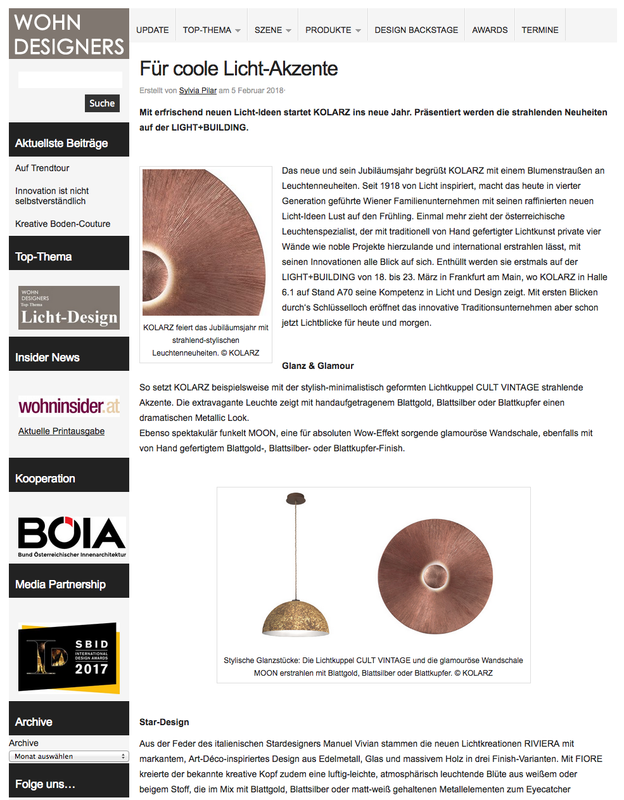 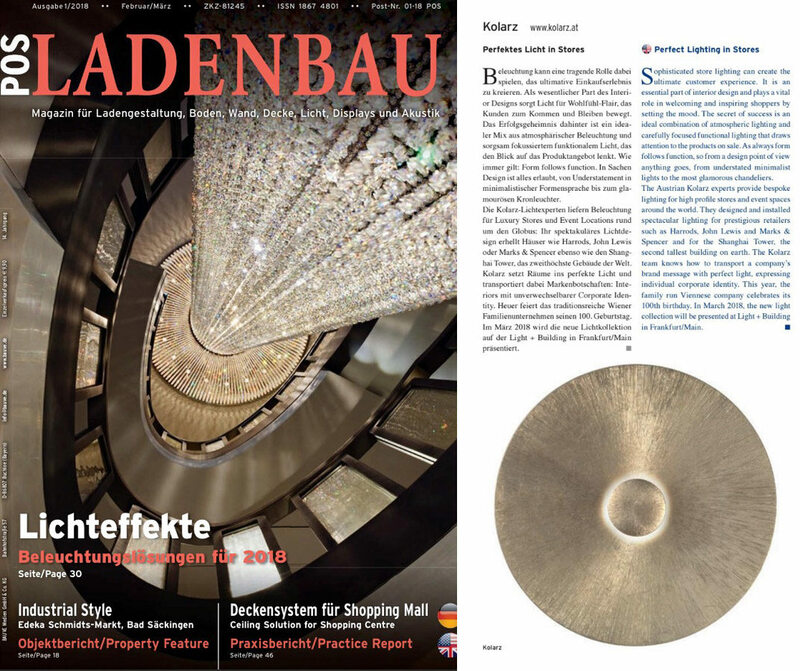 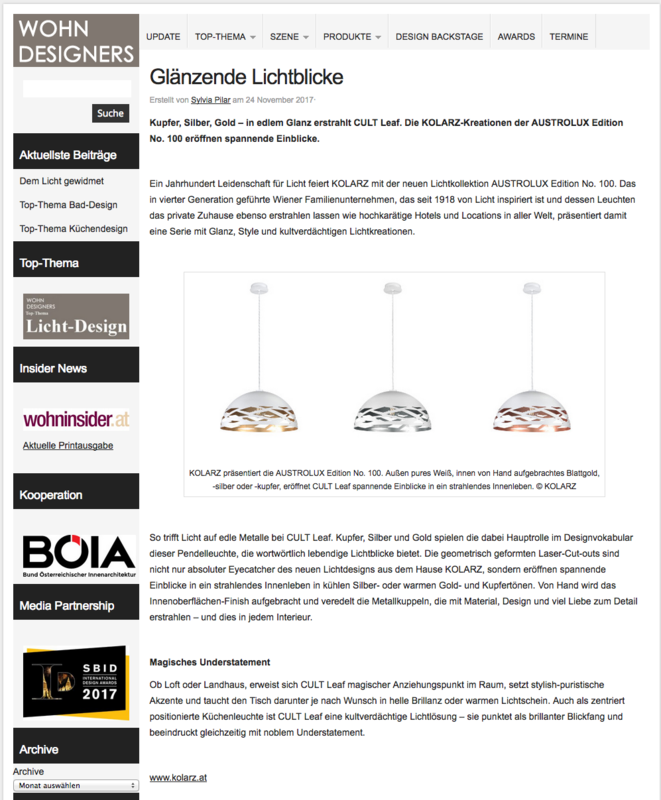 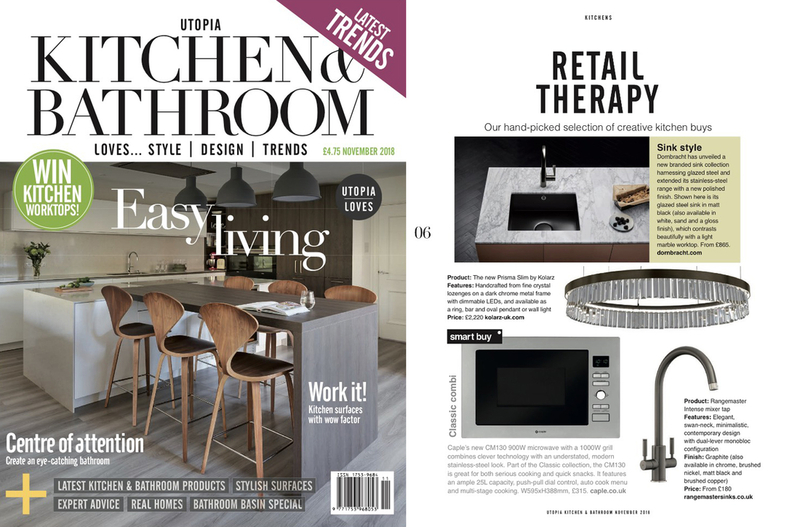 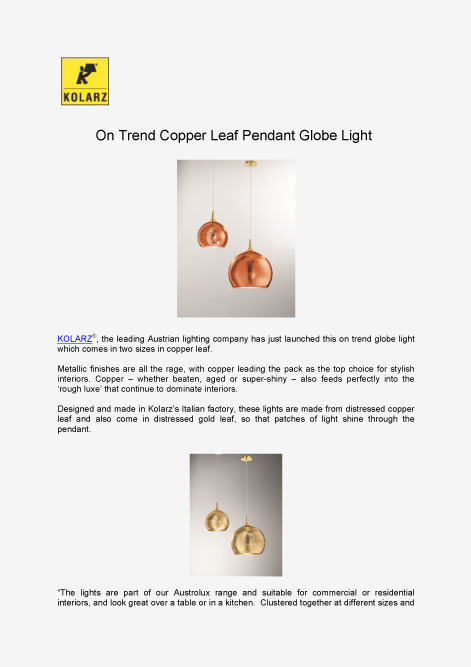 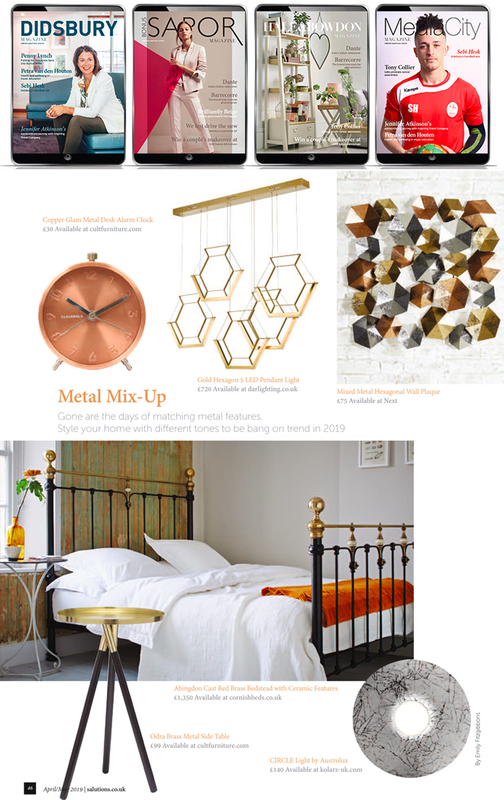 KOLARZ®, the leading Austrian lighting company has just launched this on trend globe light which comes in two sizes in copper leaf. 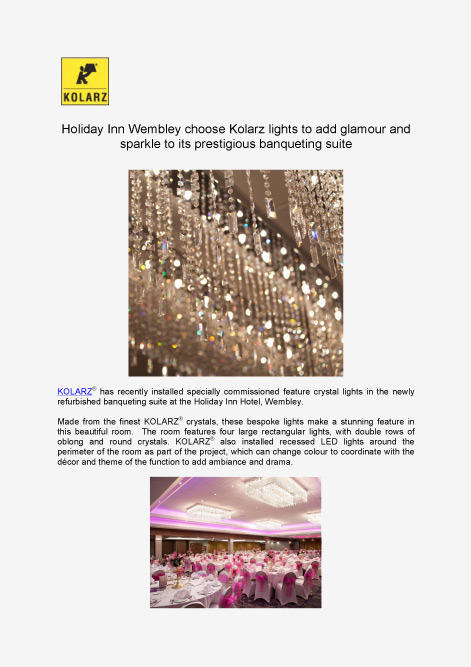 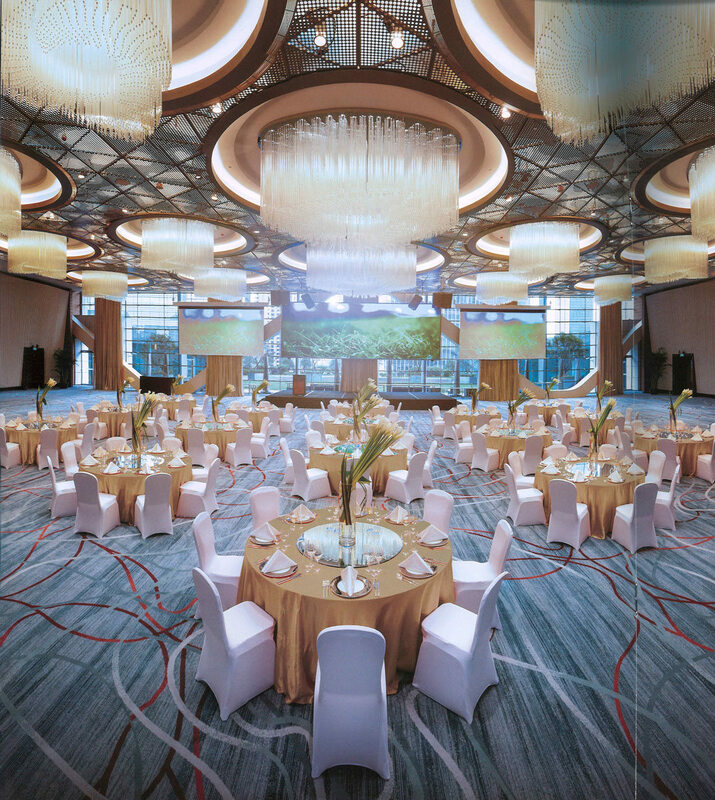 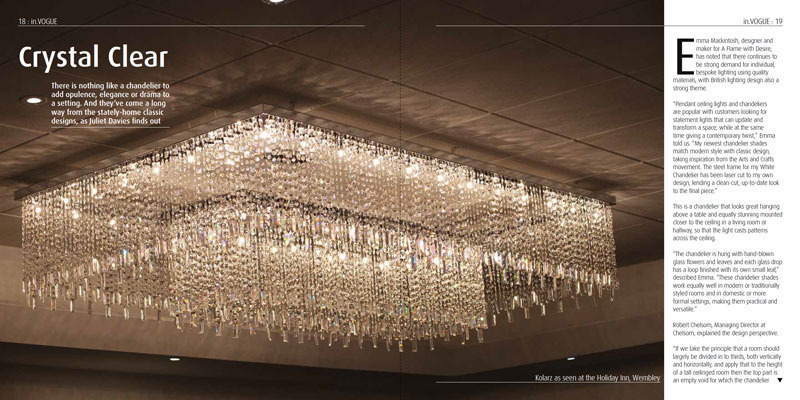 choose Kolarz lights to add glamour and sparkle to its prestigious banqueting suite. 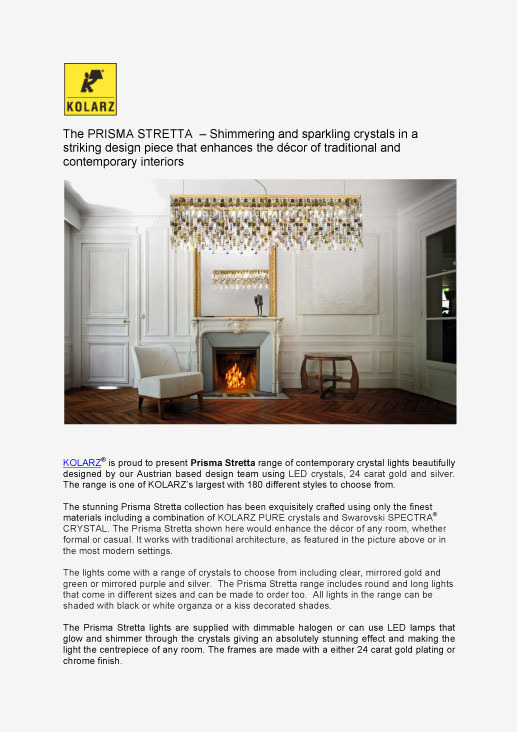 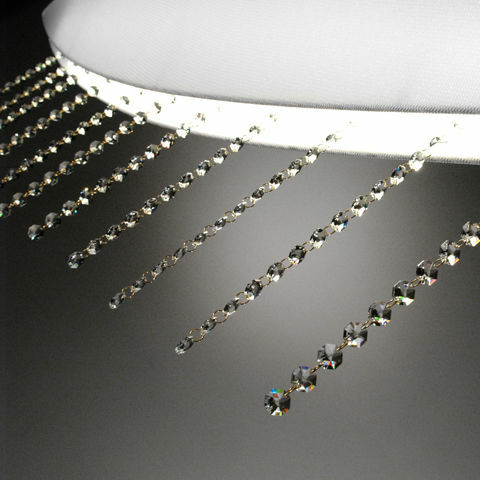 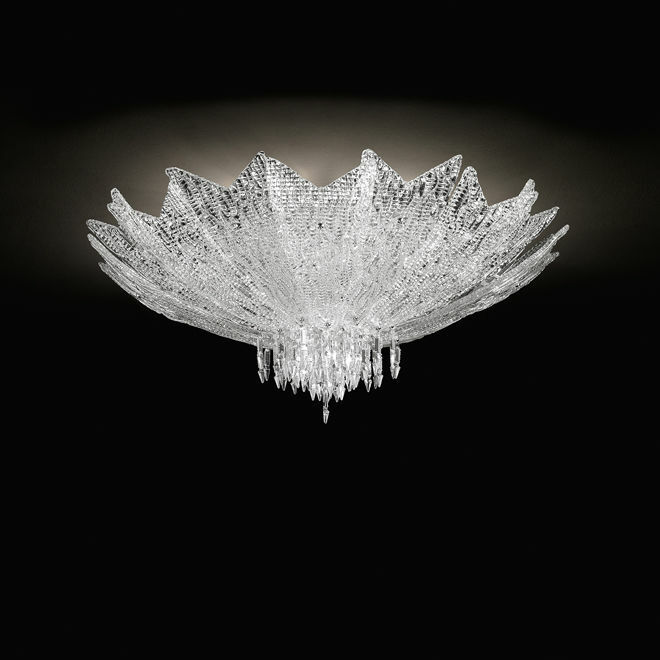 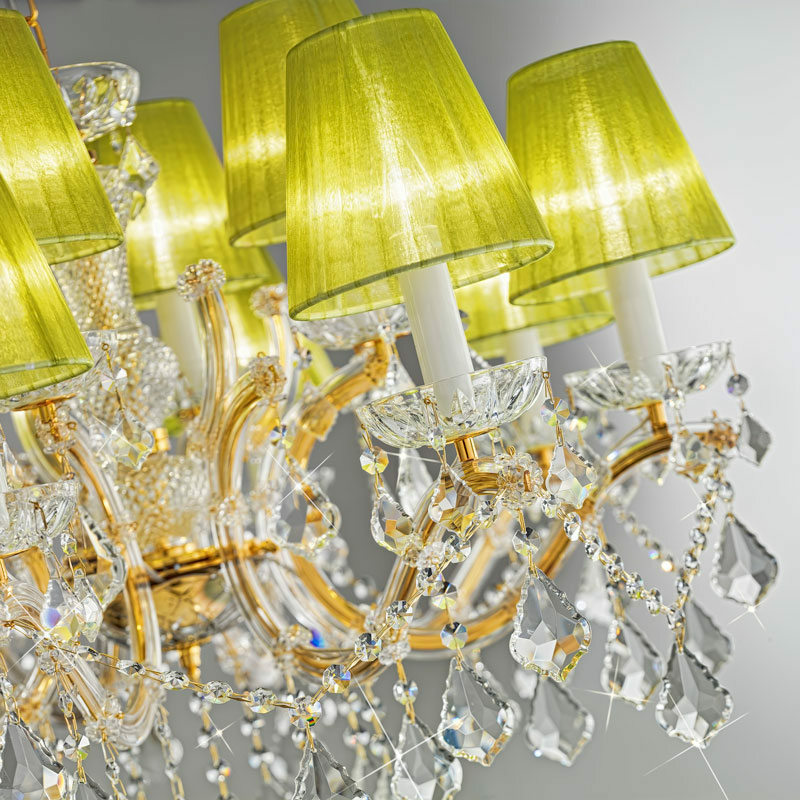 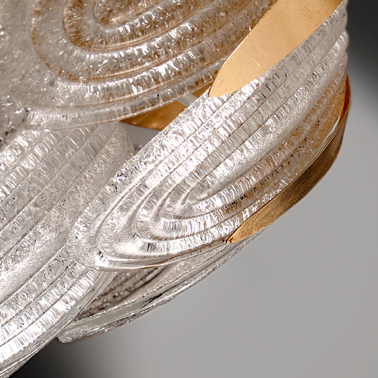 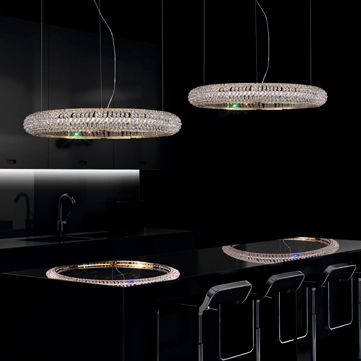 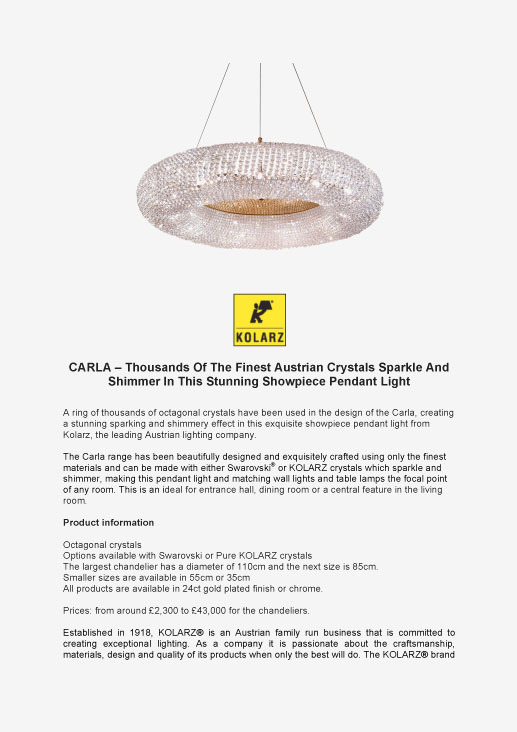 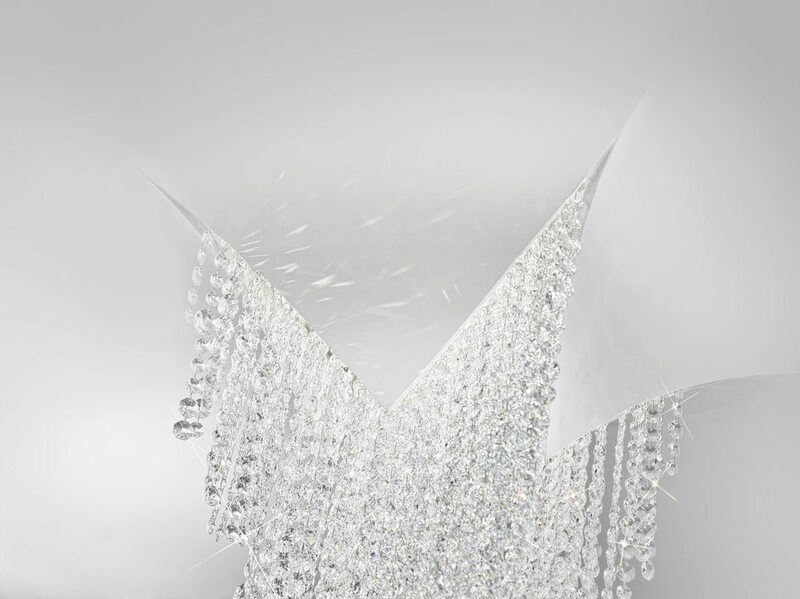 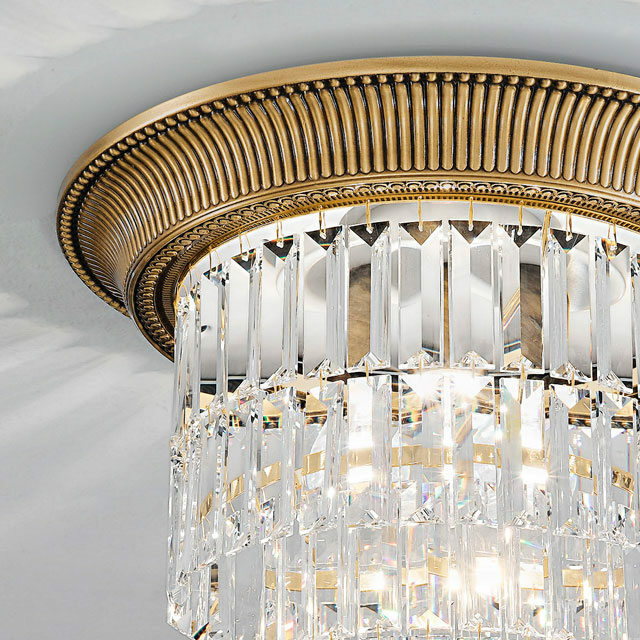 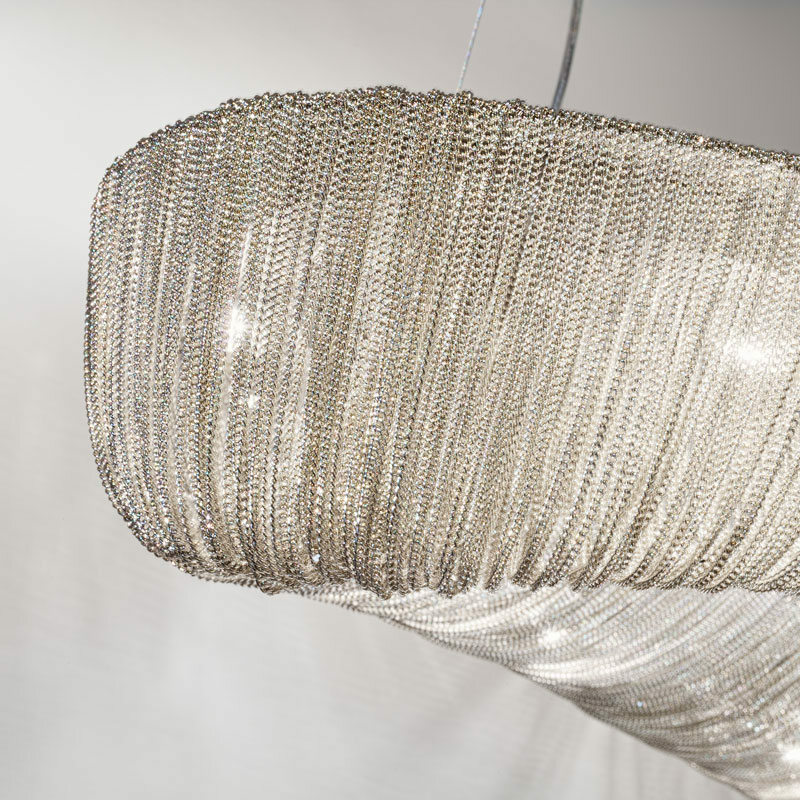 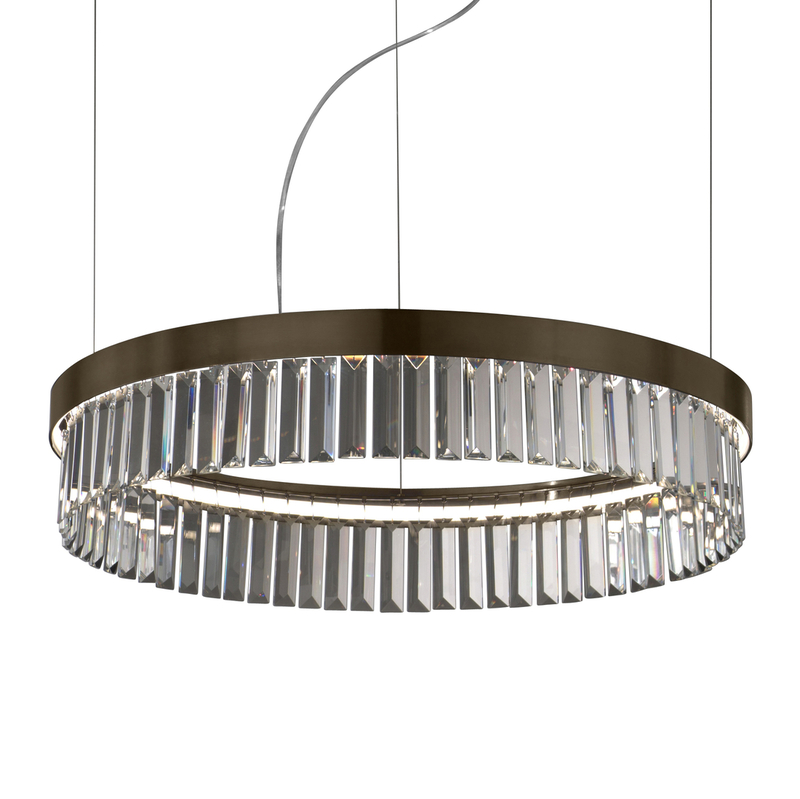 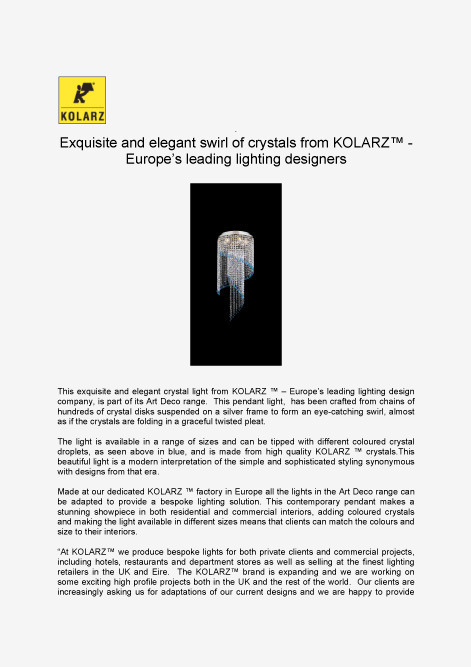 Exquisite and elegant swirl of crystals from KOLARZ™ – Europe’s leading lighting designers. 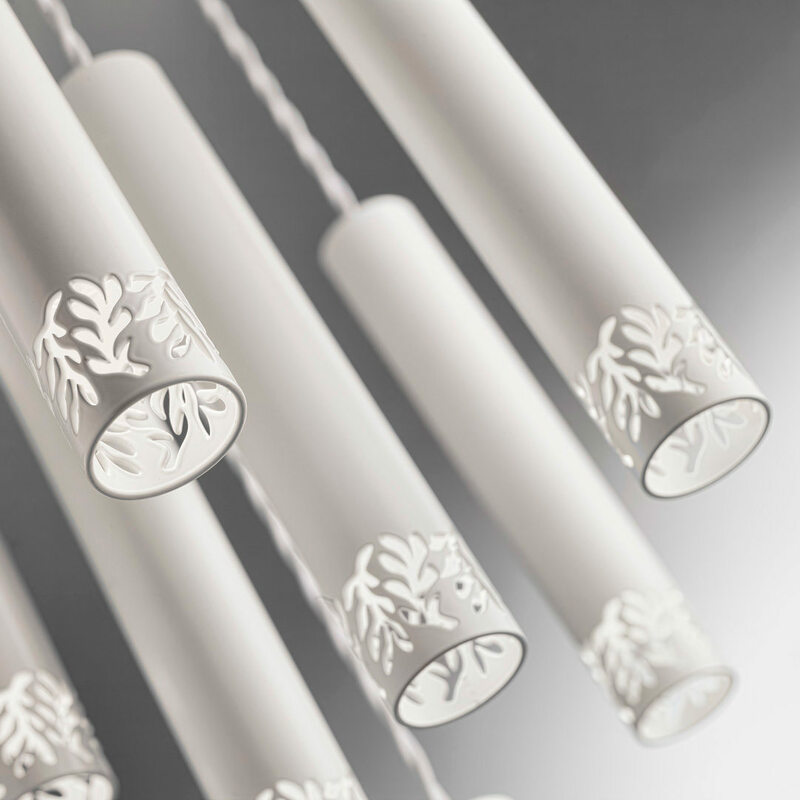 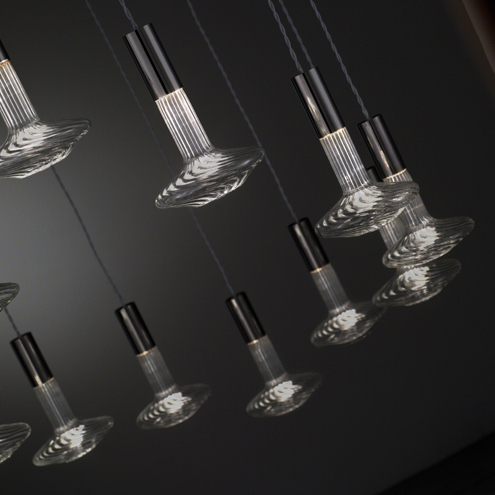 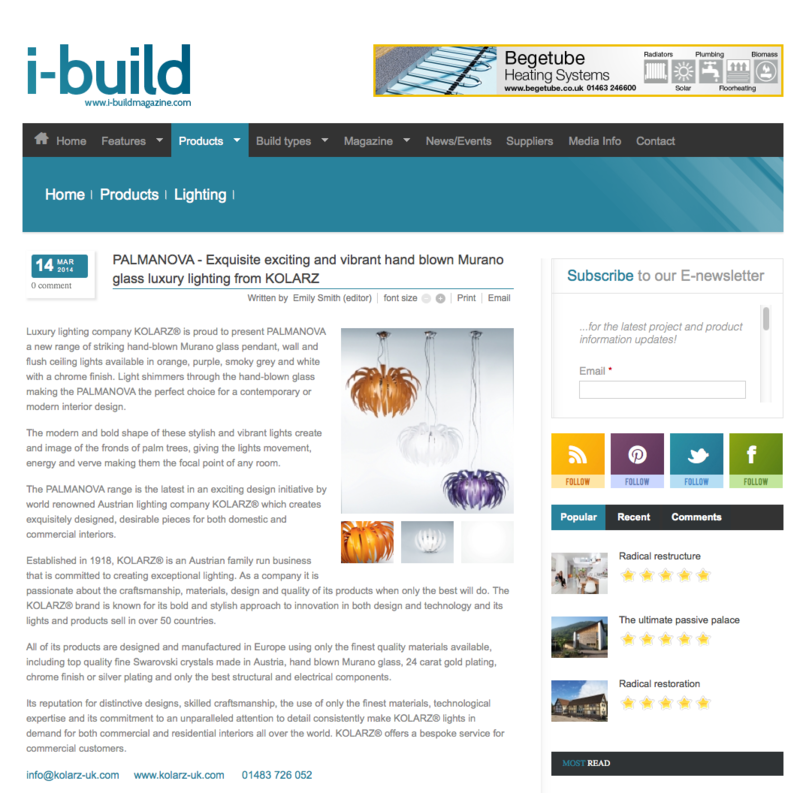 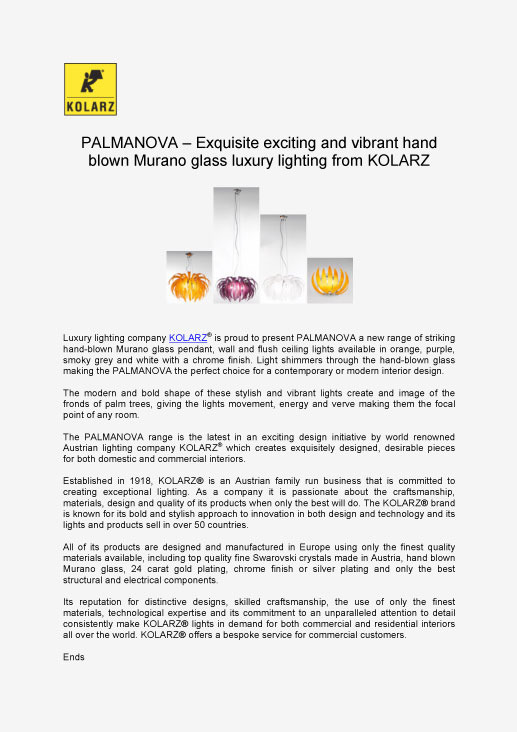 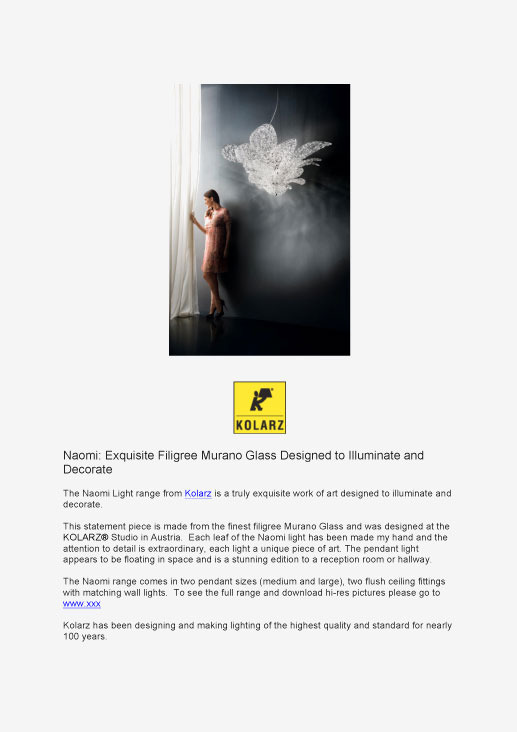 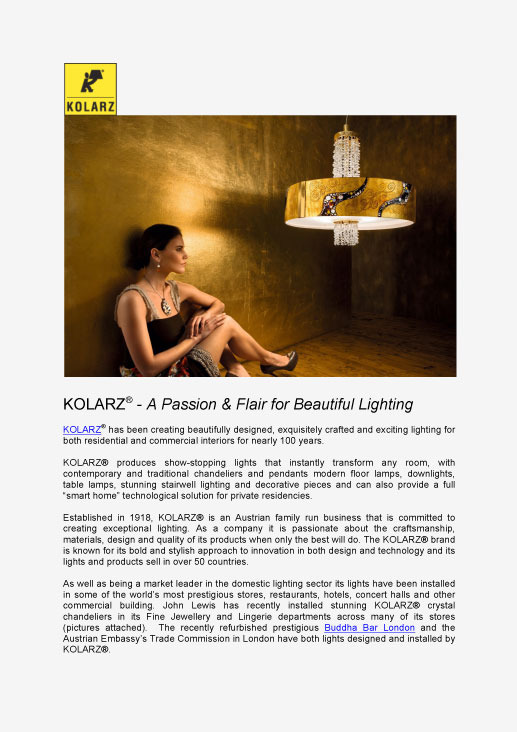 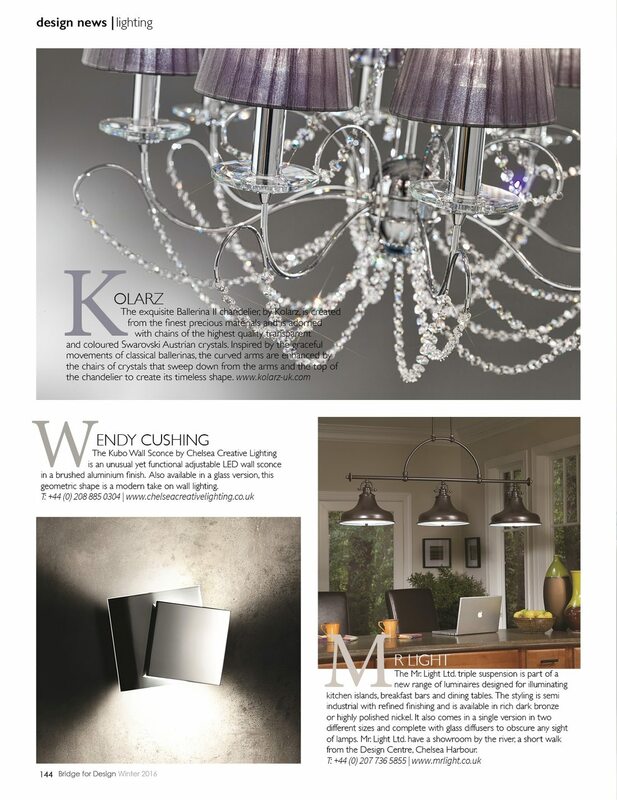 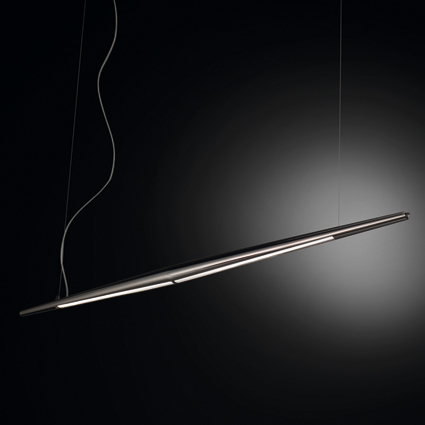 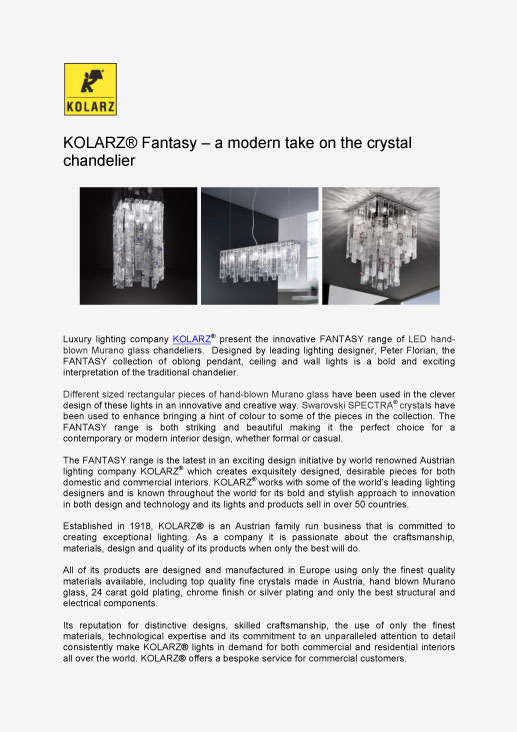 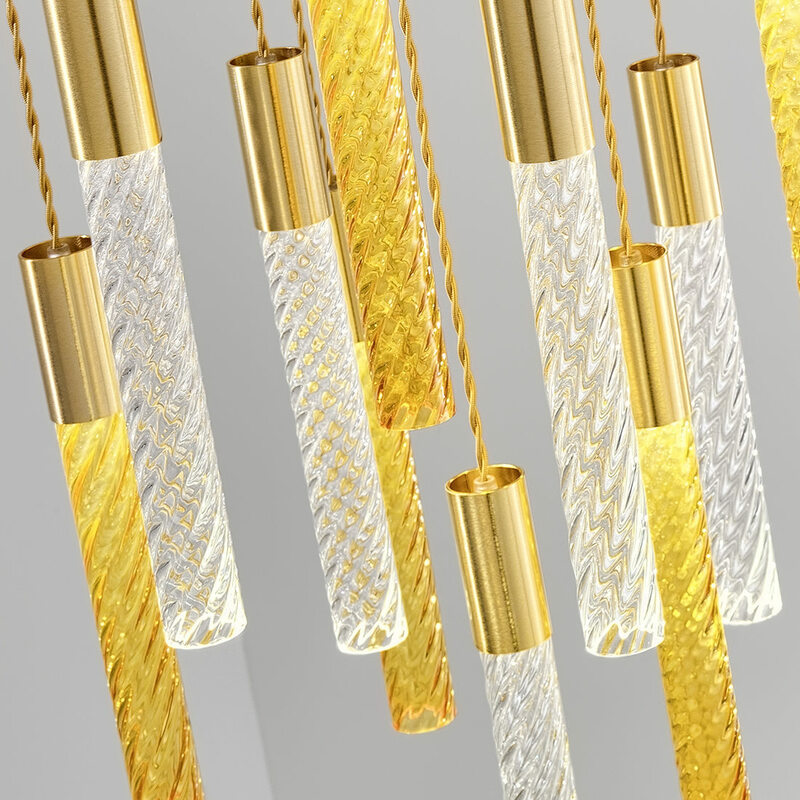 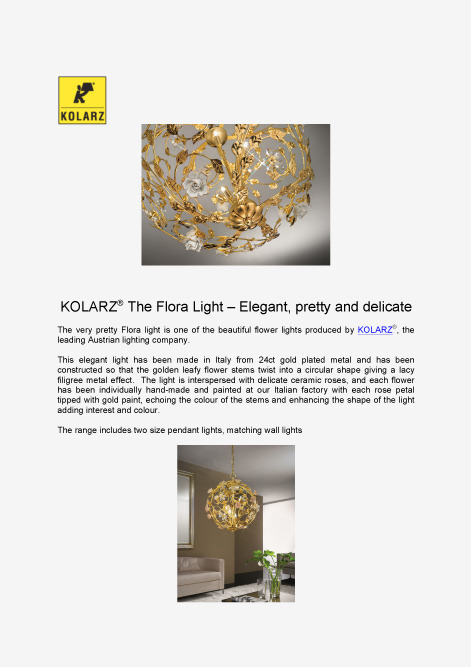 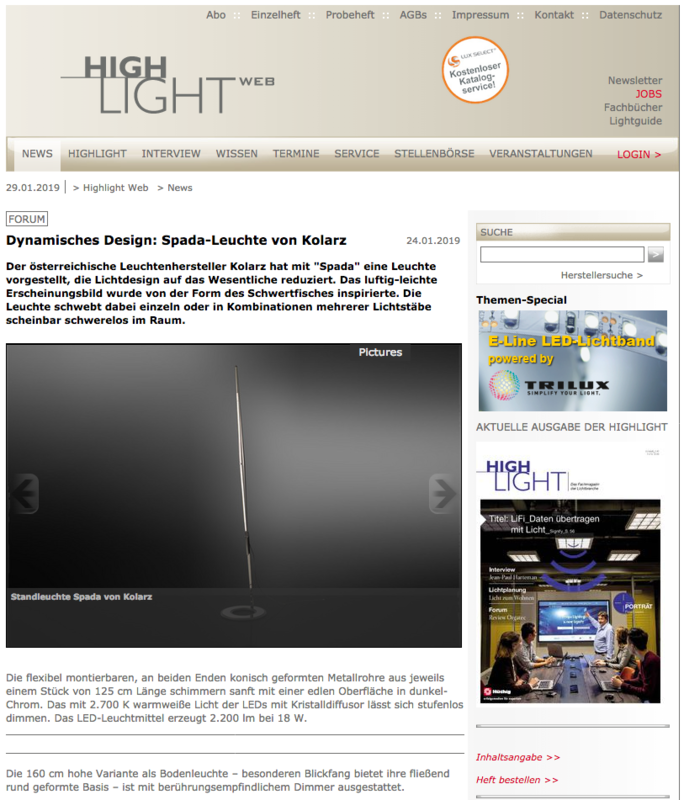 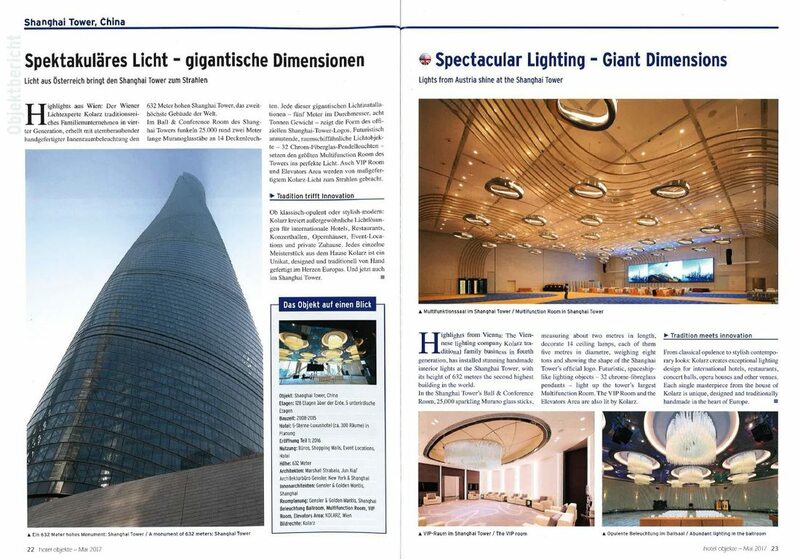 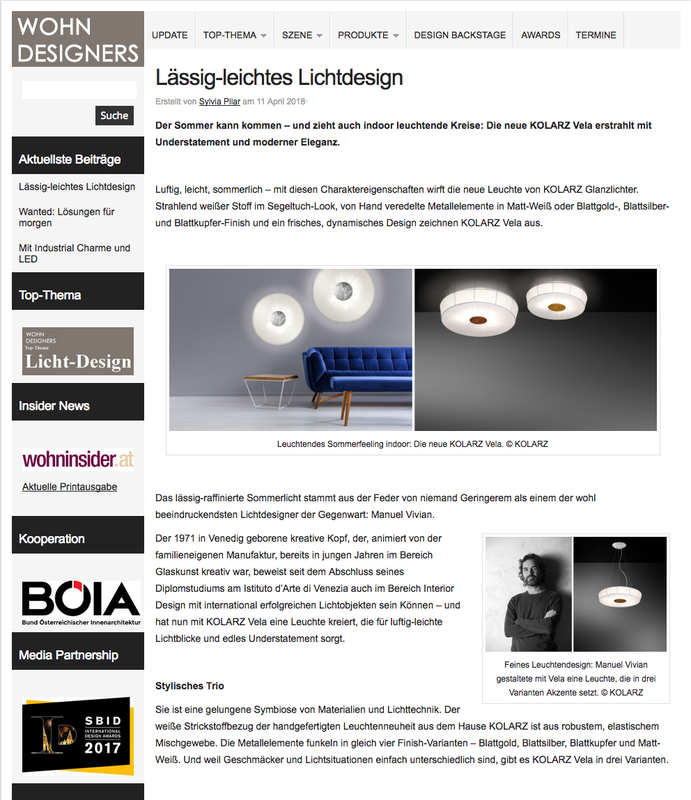 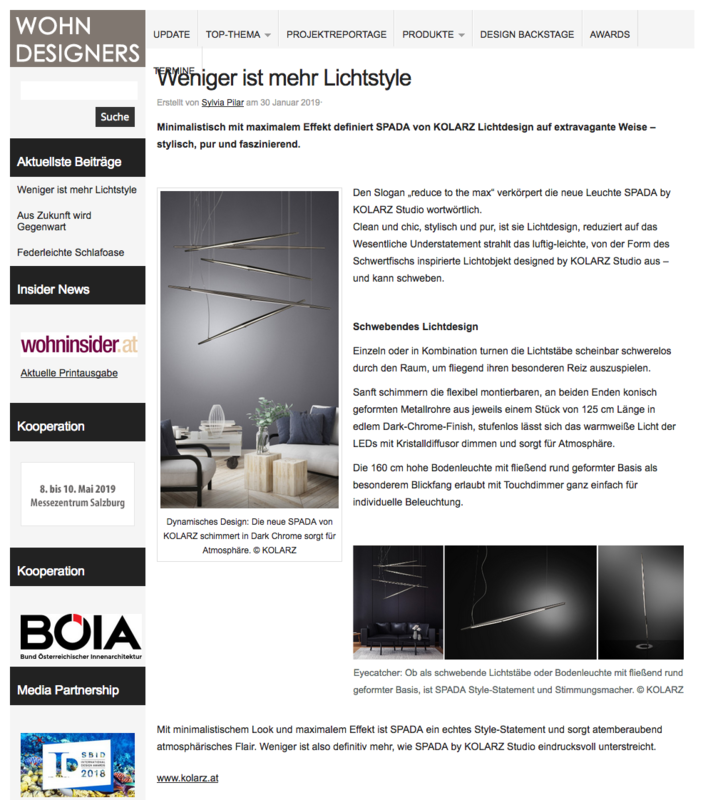 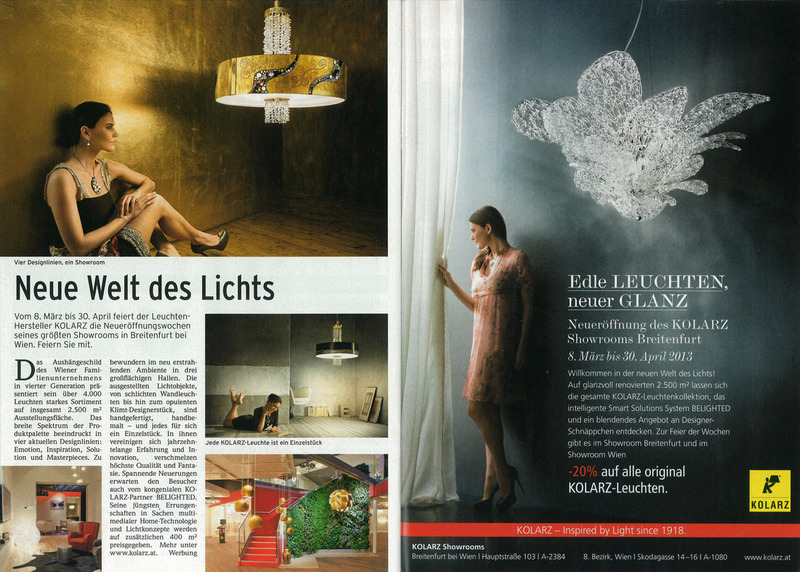 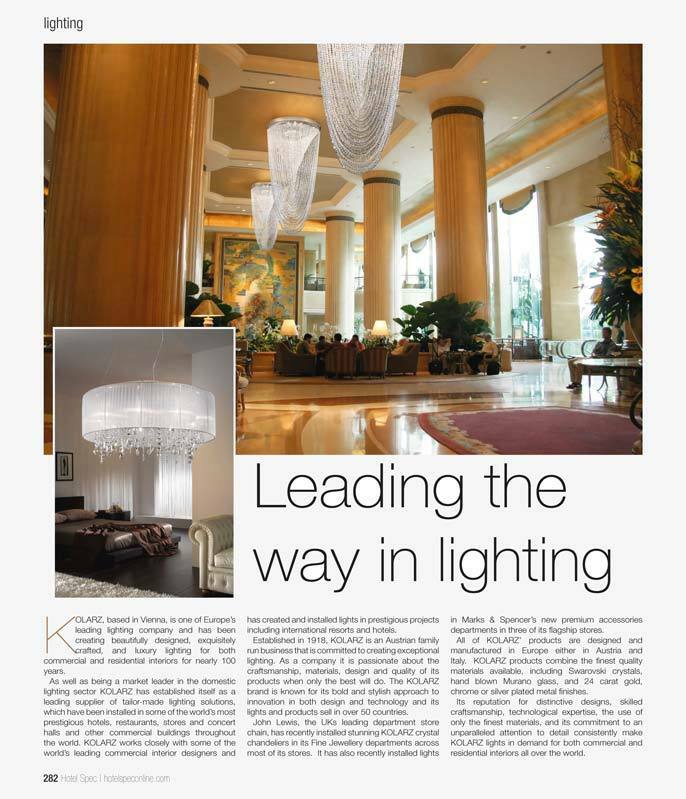 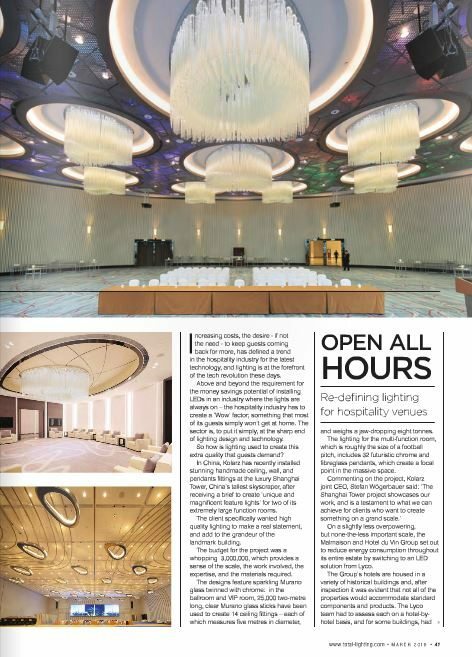 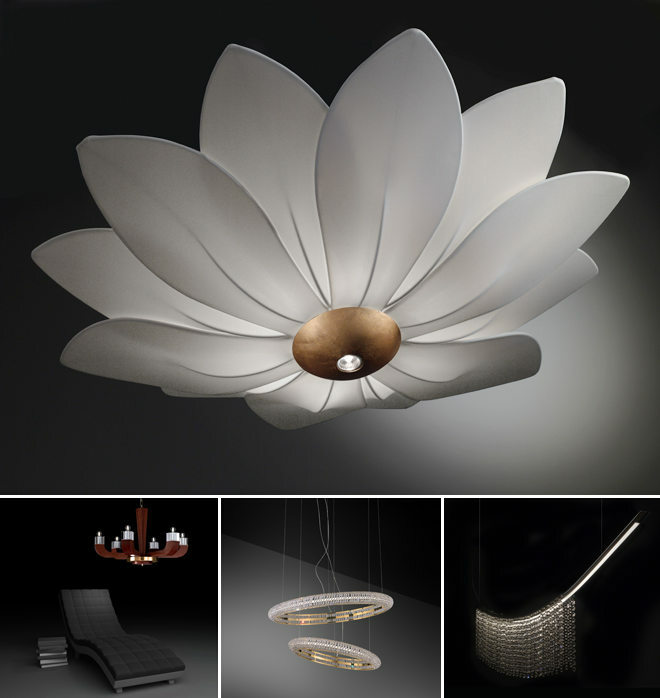 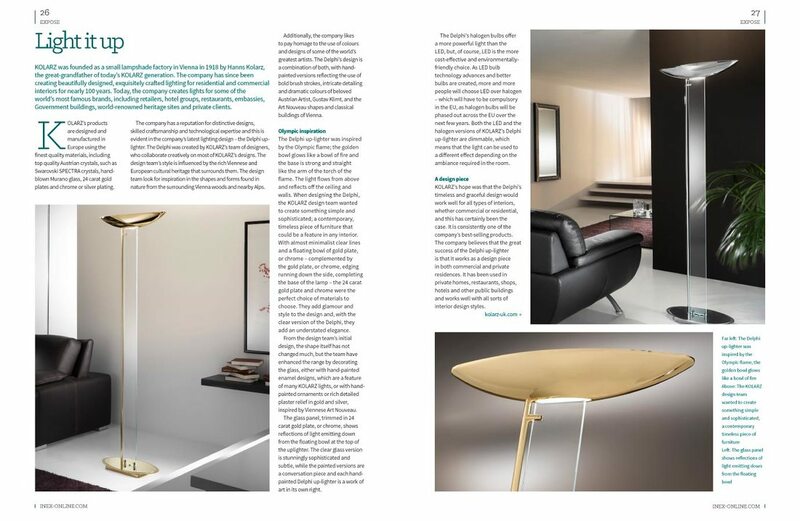 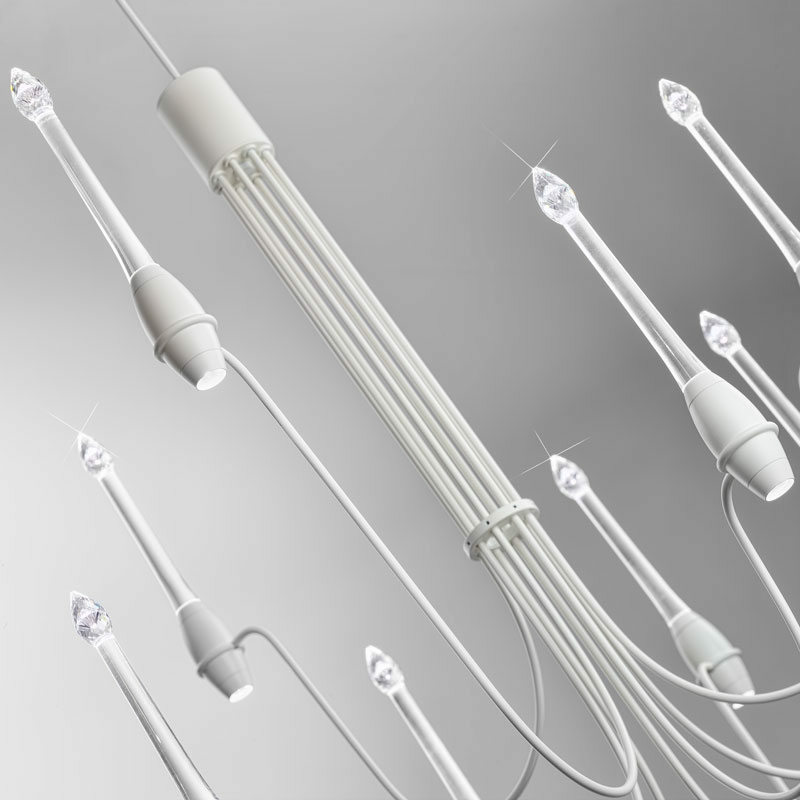 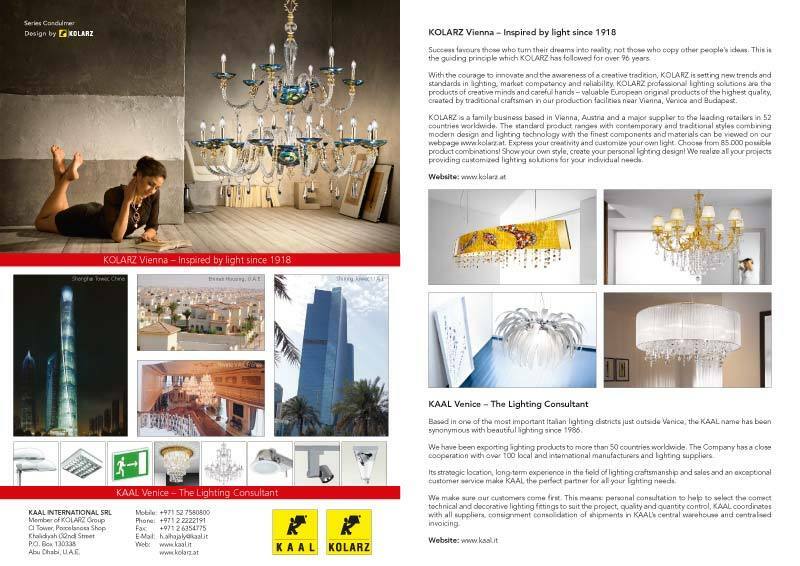 Elegant and sophisticated – KOLARZ® launches its latest lighting sensation. 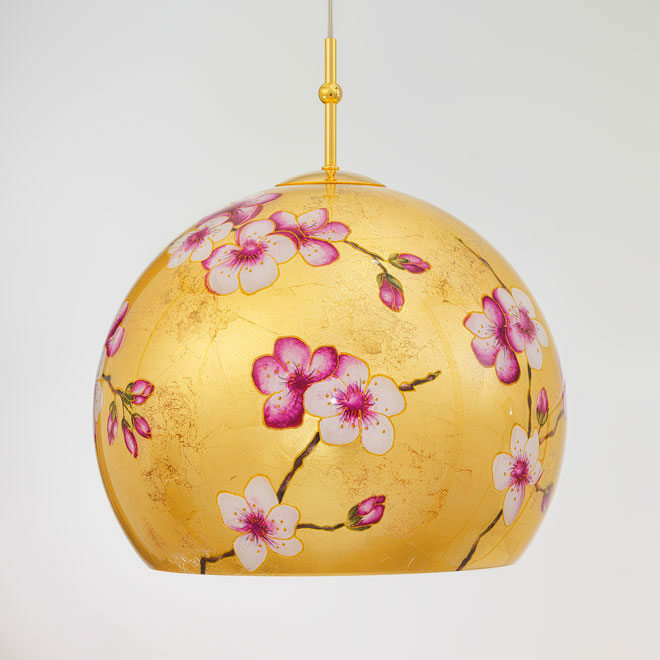 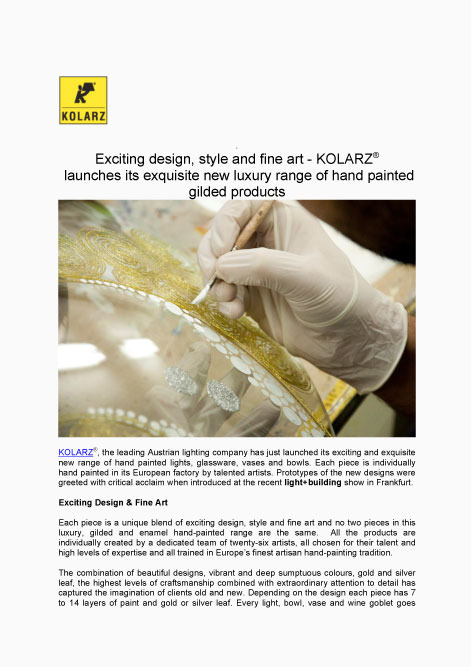 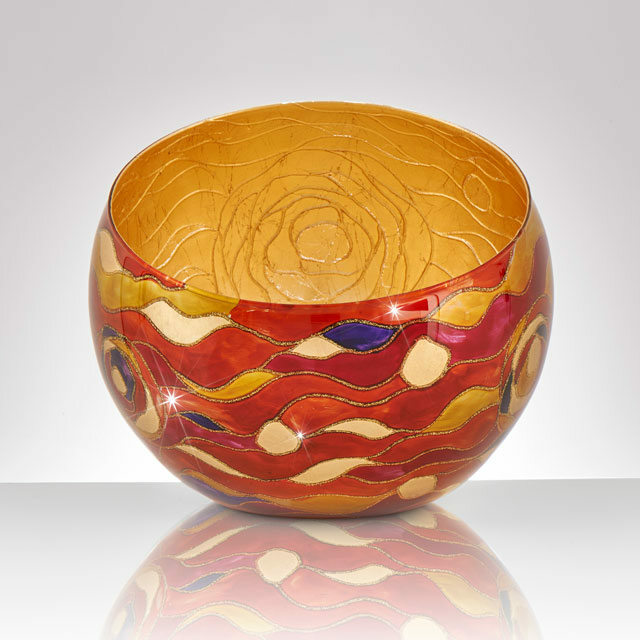 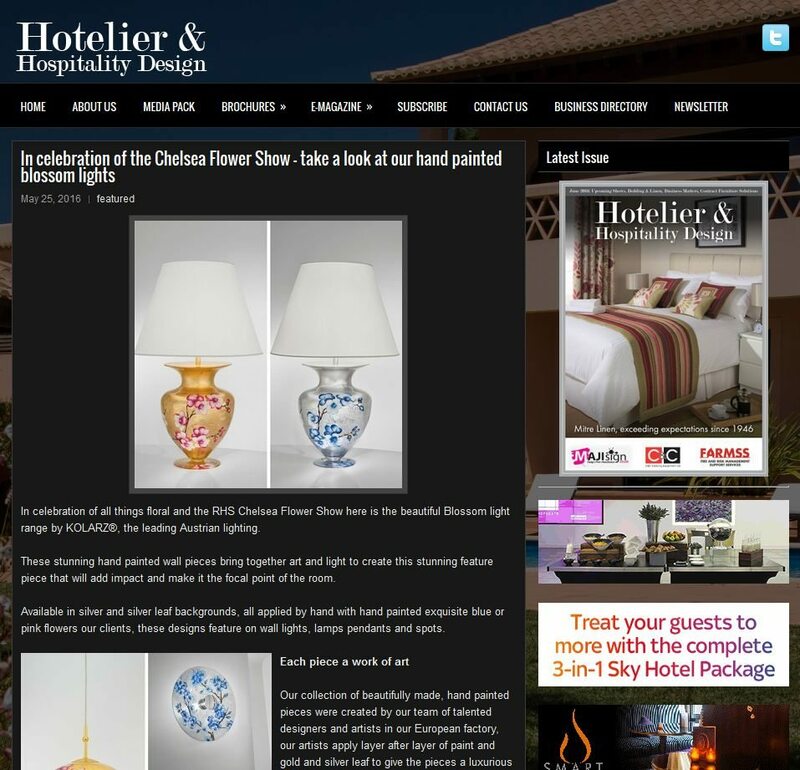 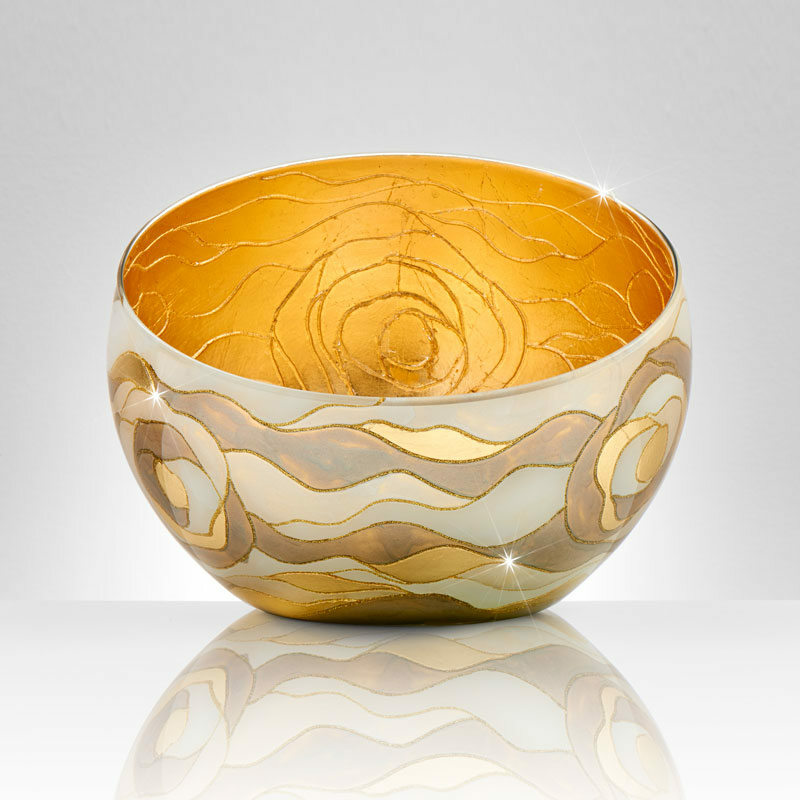 Exciting design, style and fine art - KOLARZ® launches its exquisite new luxury range of hand painted gilded products. 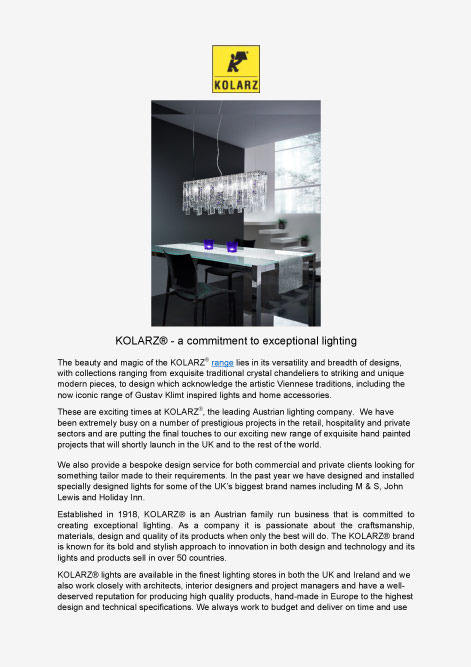 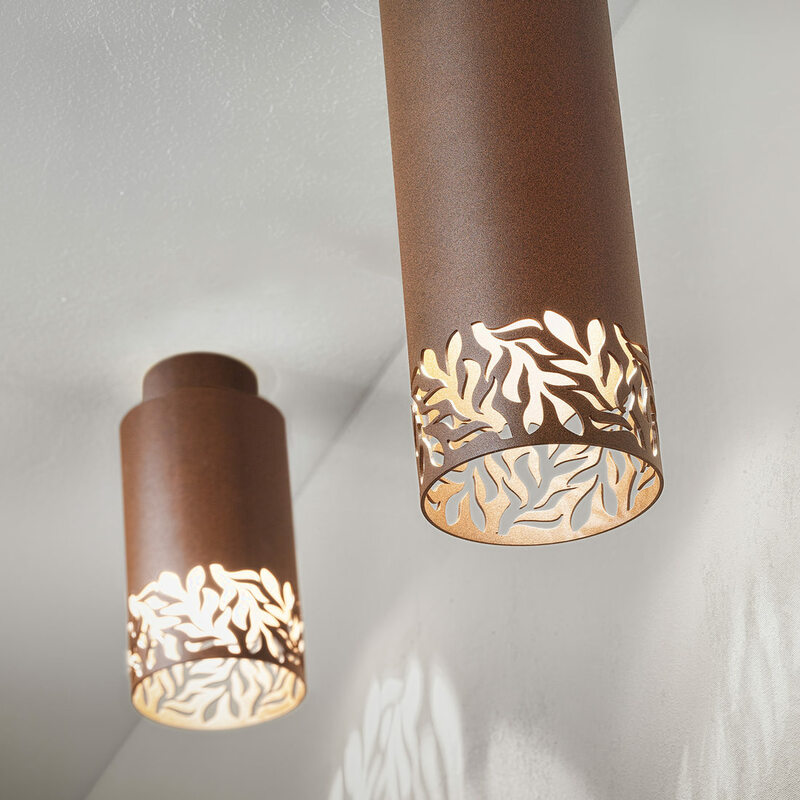 A commitment to exceptional lighting. 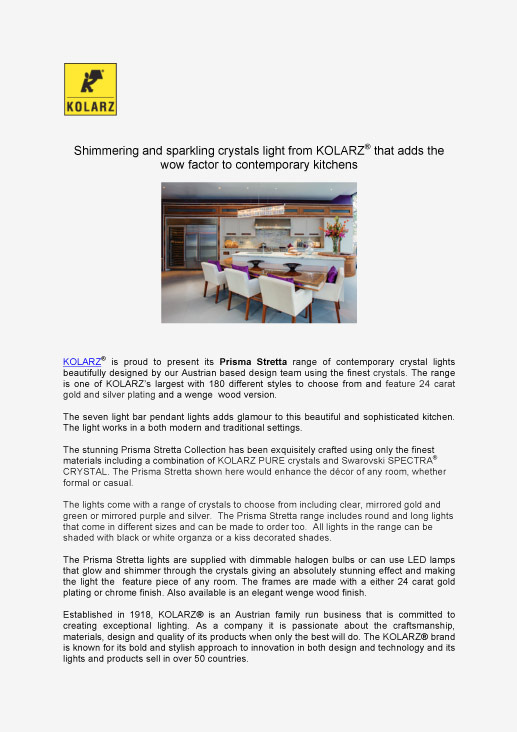 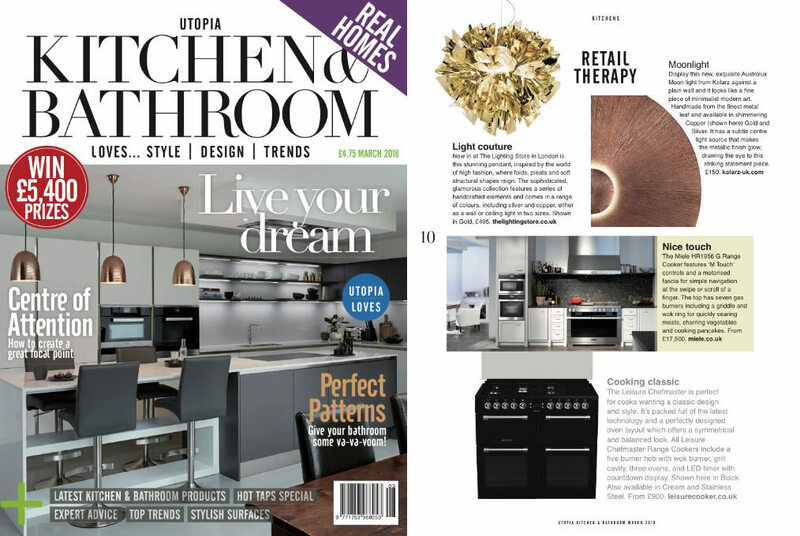 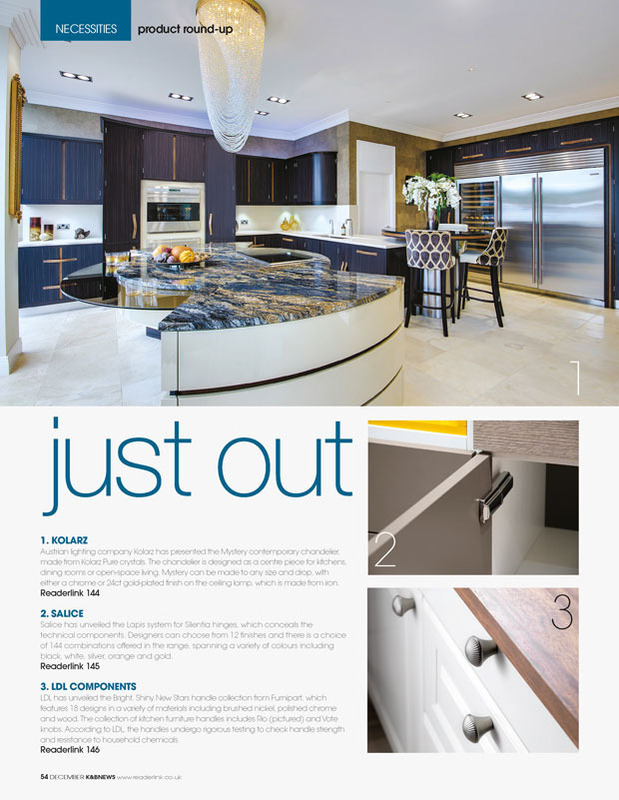 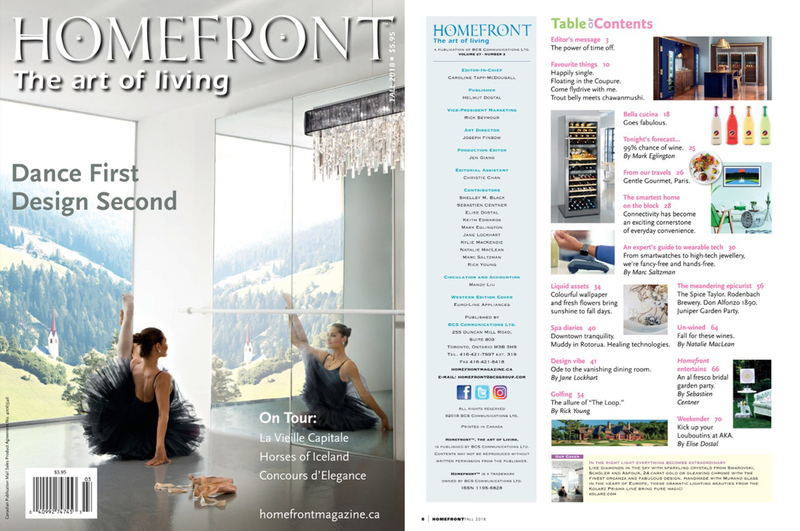 Shimmering and sparkling crystals light from KOLARZ® that adds the wow factor to contemporary kitchens. 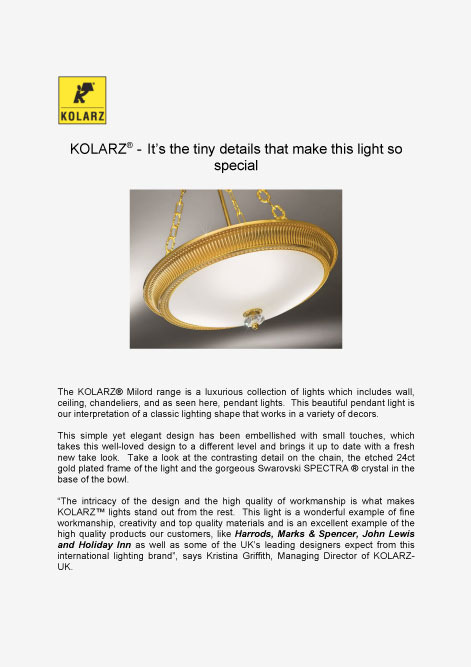 KOLARZ puts emphasis on the power of the sun! 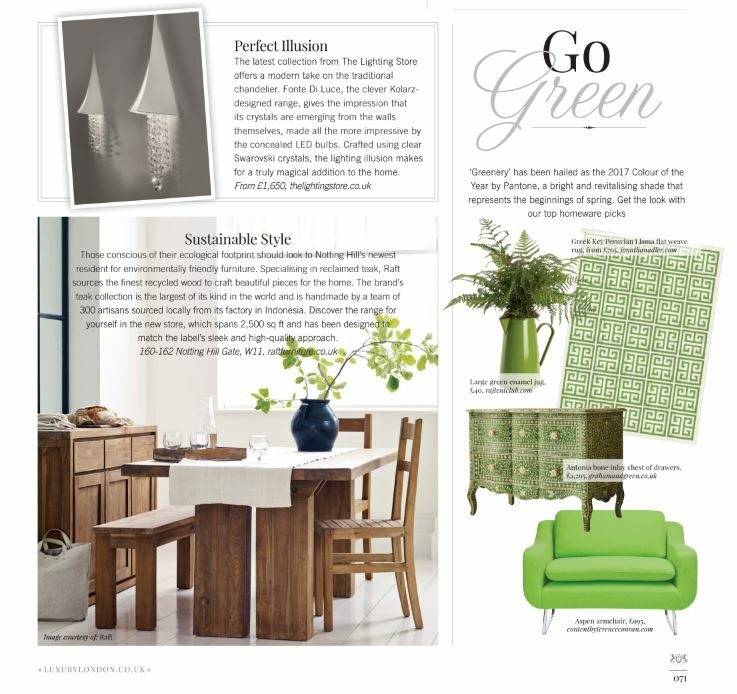 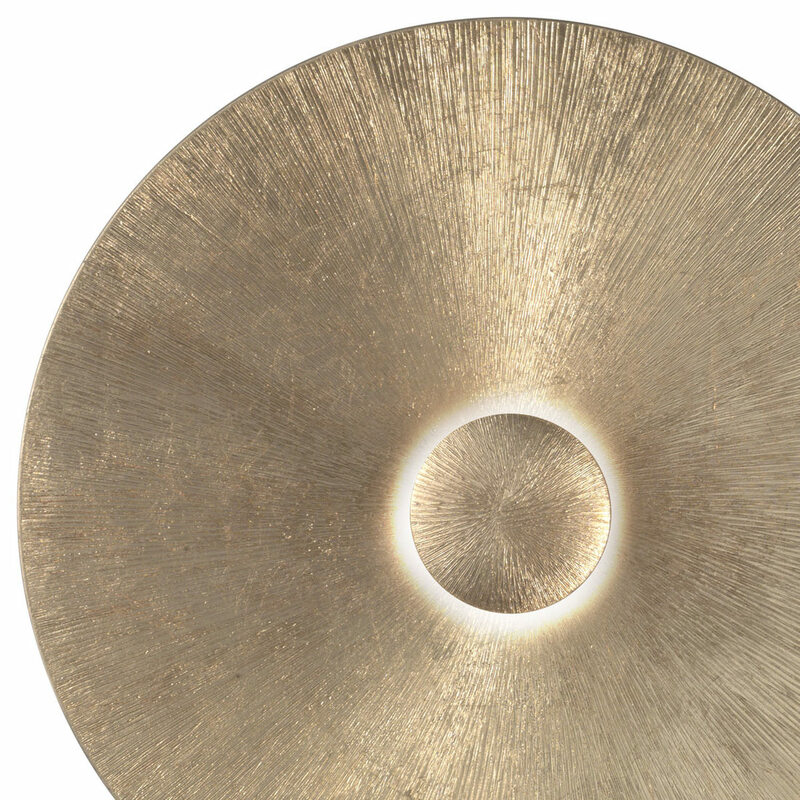 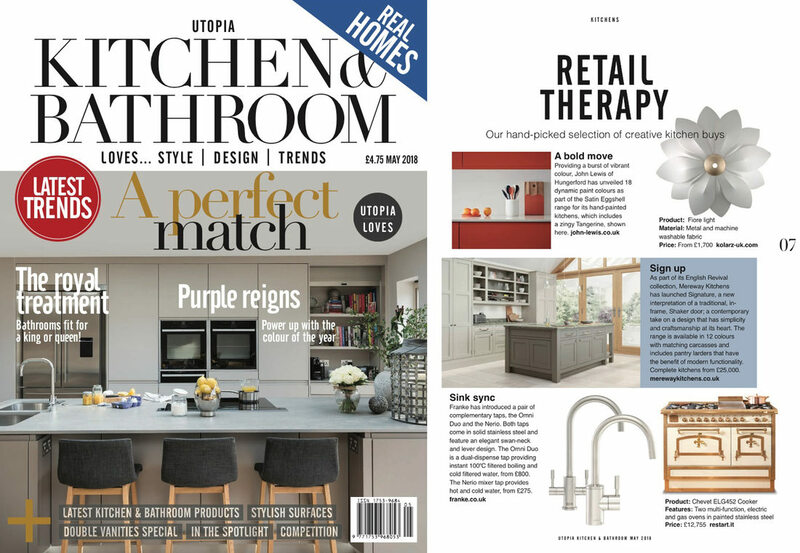 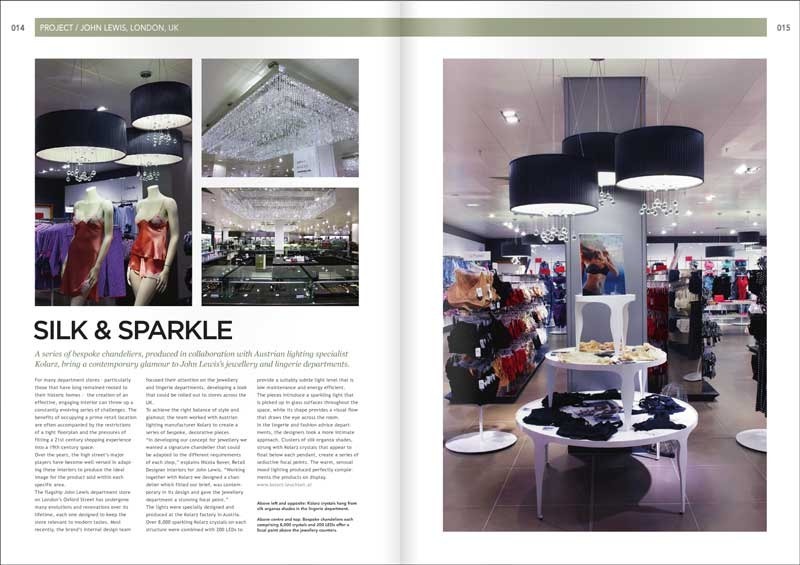 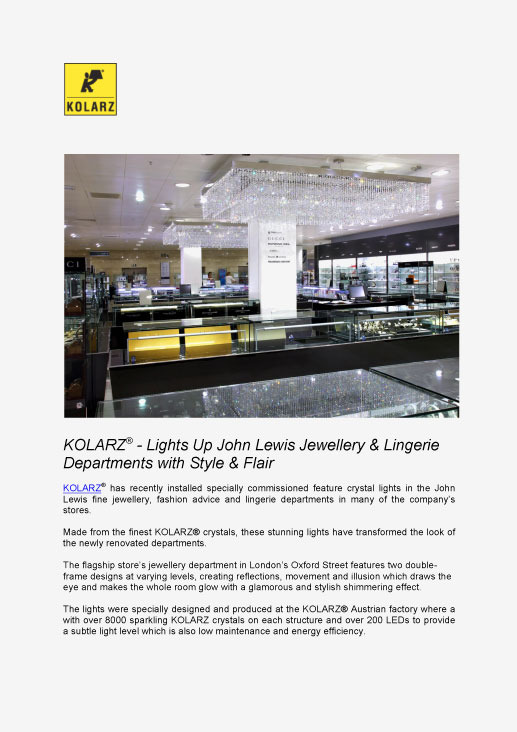 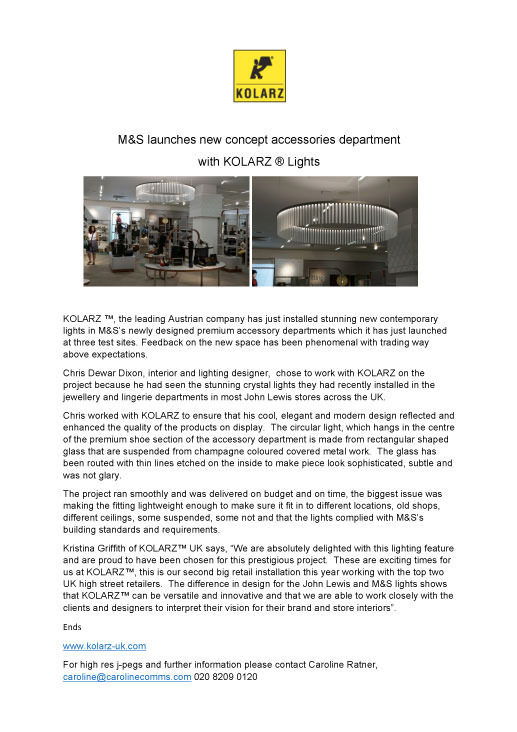 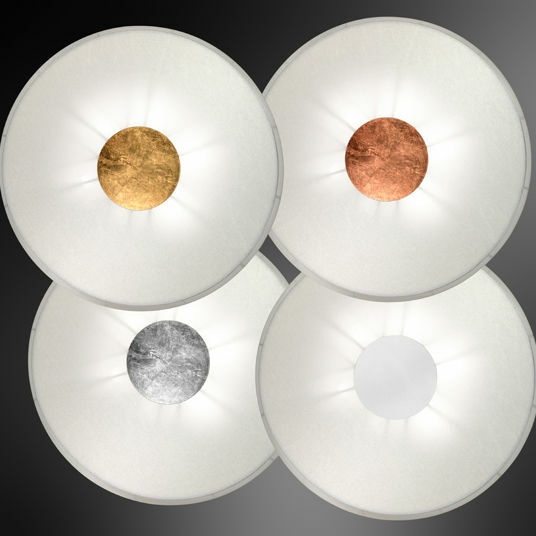 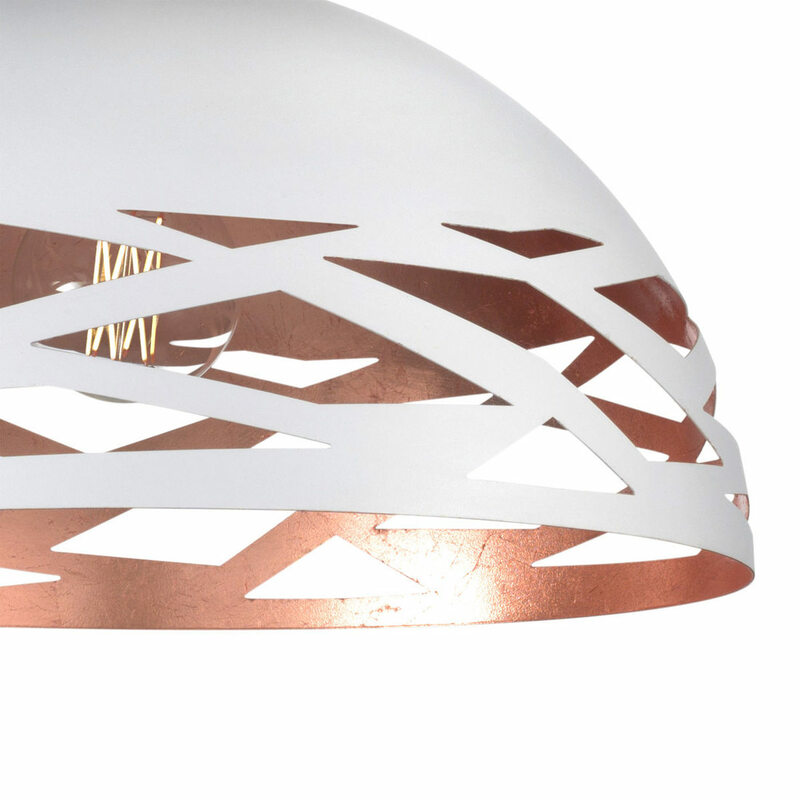 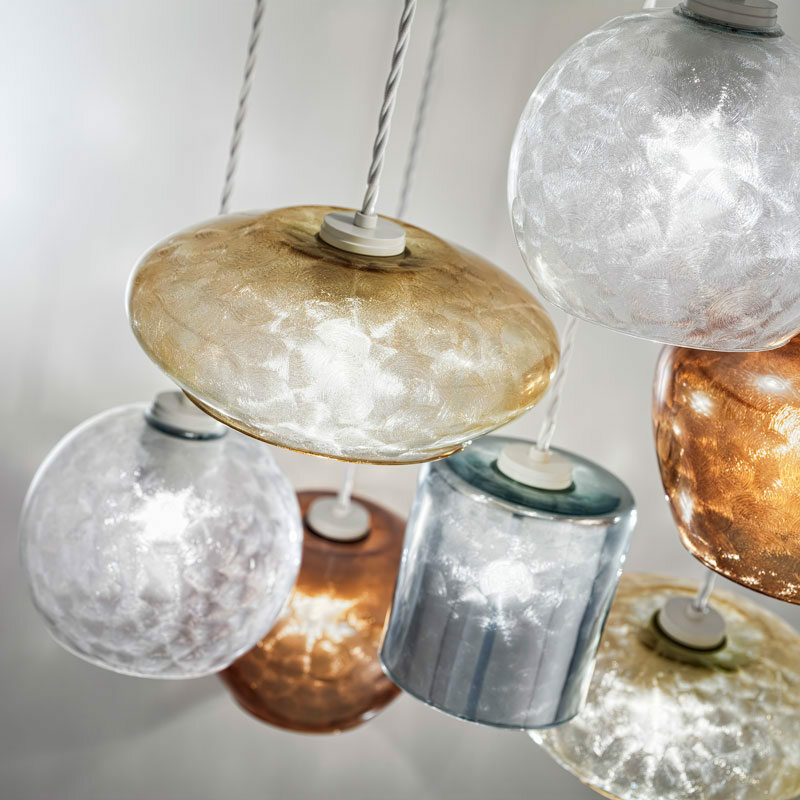 M&S launches new concept accessories department with KOLARZ ® Lights. 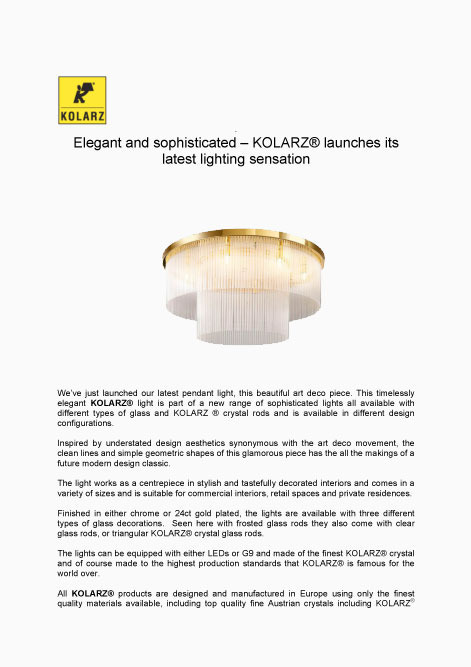 Date: 05-08-2013 Enlighten part of the Fantasy Lights Group is proud to present the newly opened KOLARZ® Studio at its Dublin store.